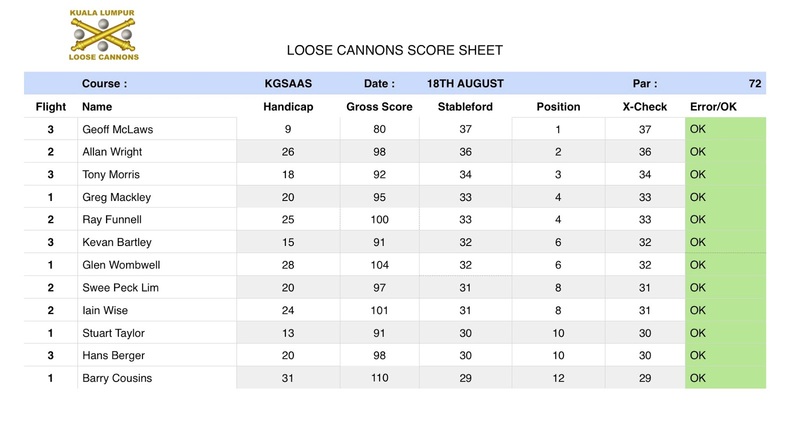 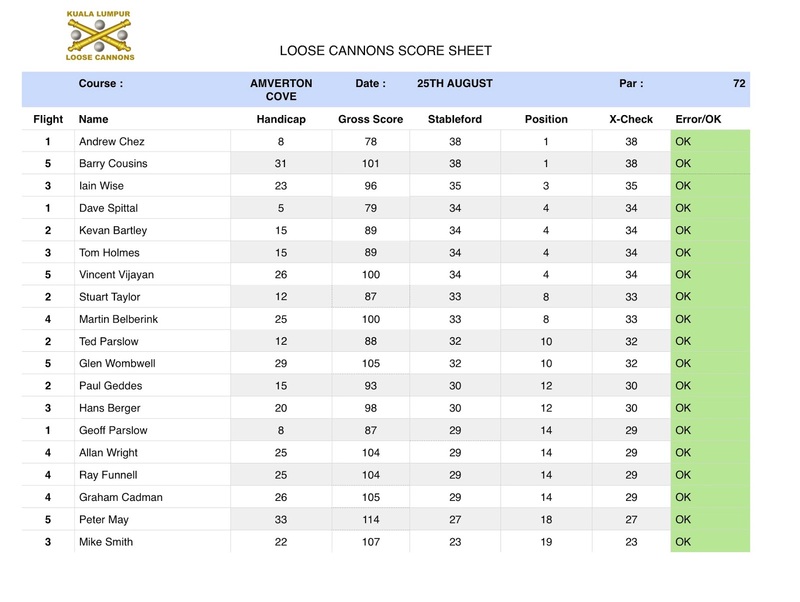 We had 5 flights today and 19 players for the Loose Cannons August Trophy Game at Amverton Cove. 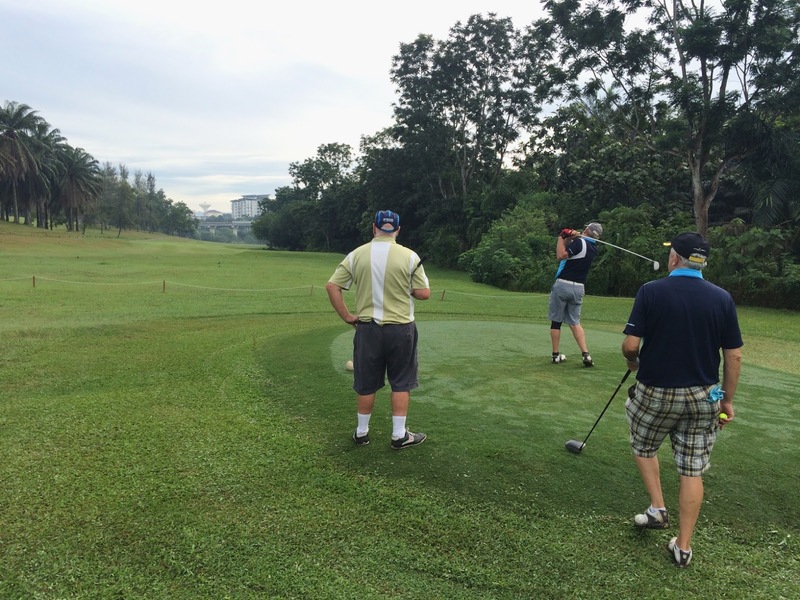 We all got off on two tee boxes at 8:00am and all made good time around the course. 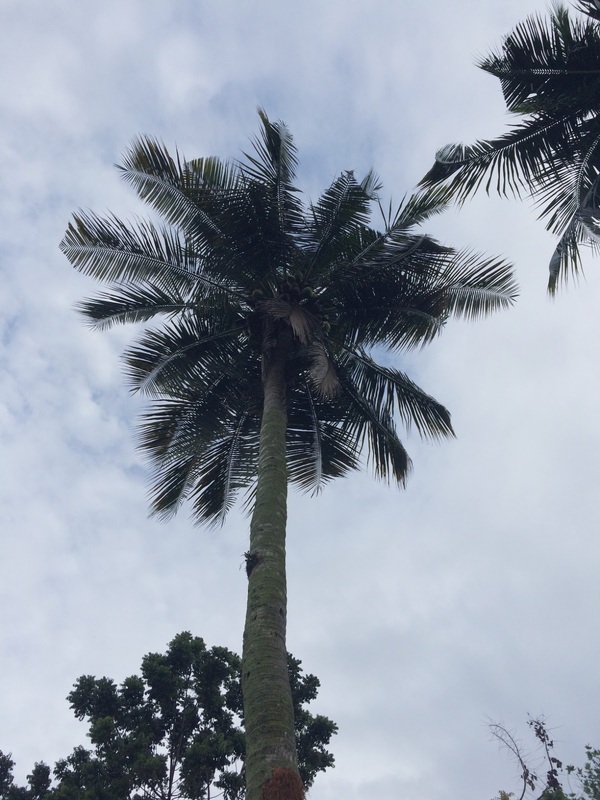 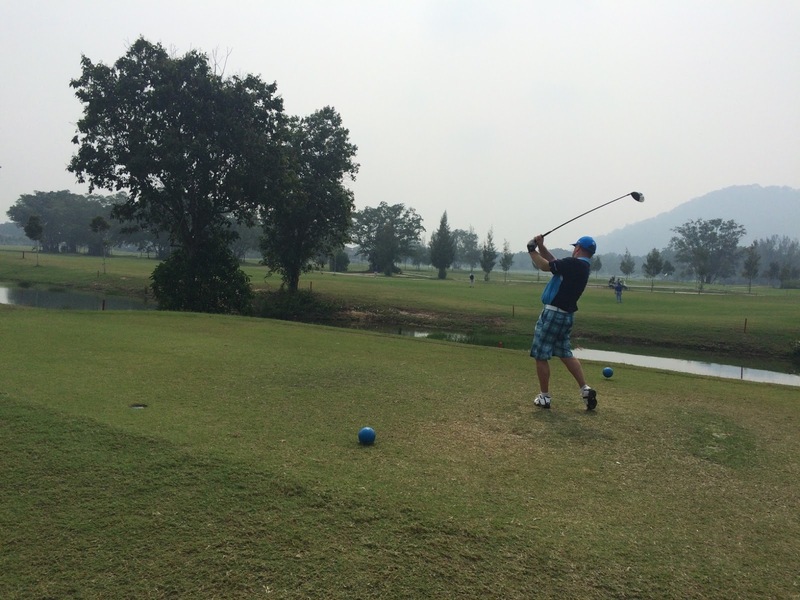 Weather was good – a little overcast and hazy. 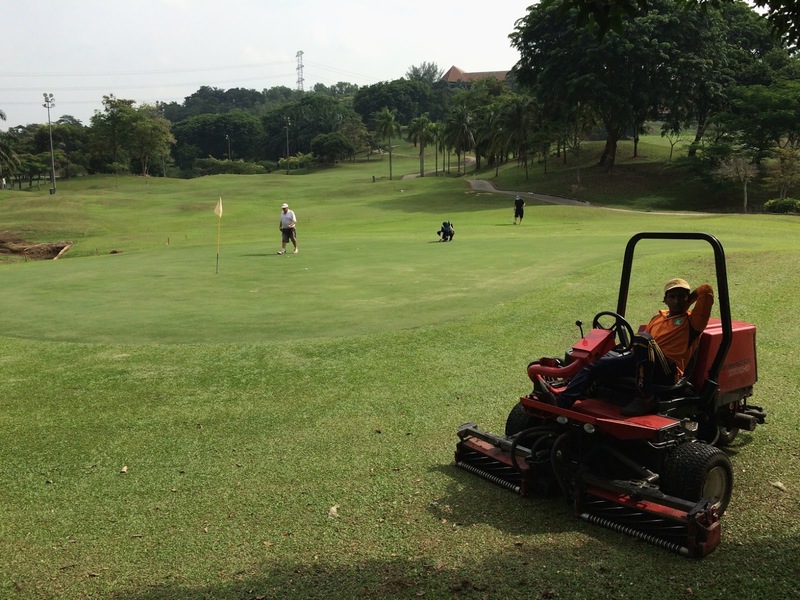 The course was generally in good condition but I noticed a few areas around the course which were rather untidy and needed some attention. 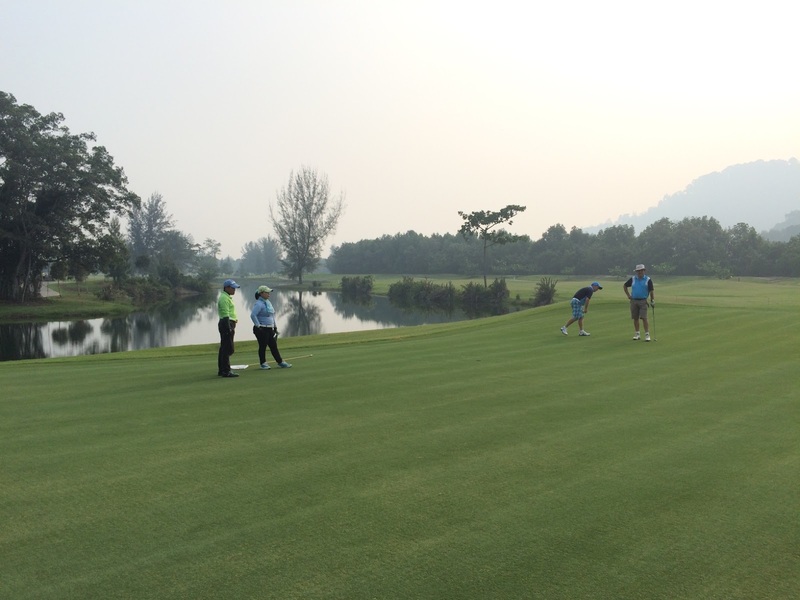 Greens were fairly good but many people noticed them to be a little bumpy. 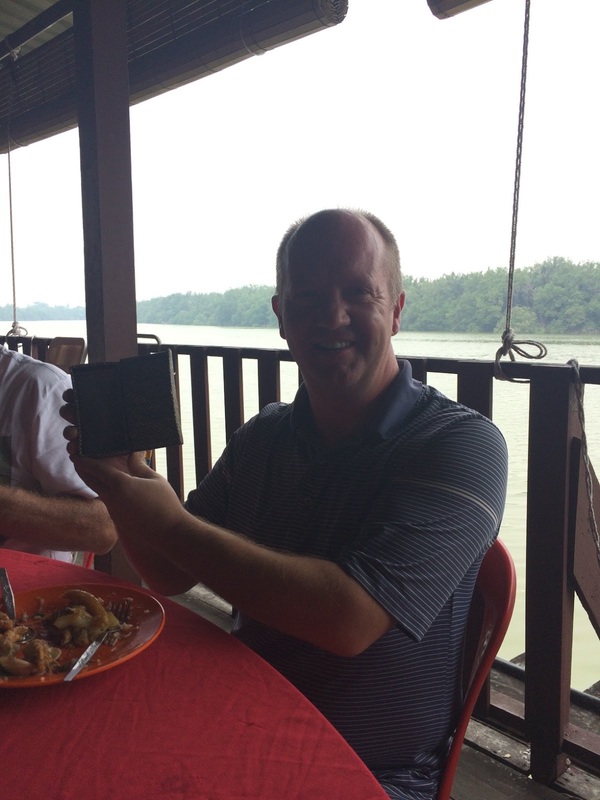 We had lunch and prize giving at the seafood restaurant back along the road from the club next to the river. 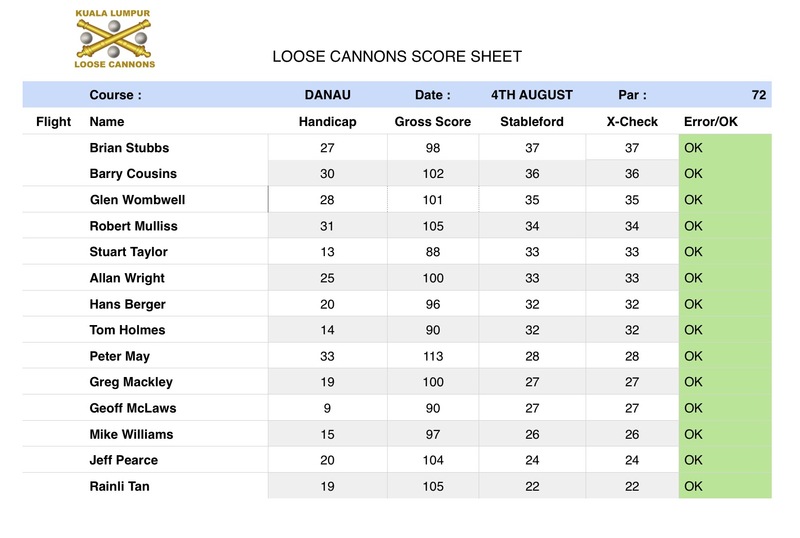 Paul Geddes was given his trophy which he won back in June but Andrew Chez, our winner of the day, unfortunately couldn’t join us for lunch – his trophy will be passed on to him but the winning RM50 was promptly put back into the coffers by Moneybags, Iain Wise and put towards the lunch. 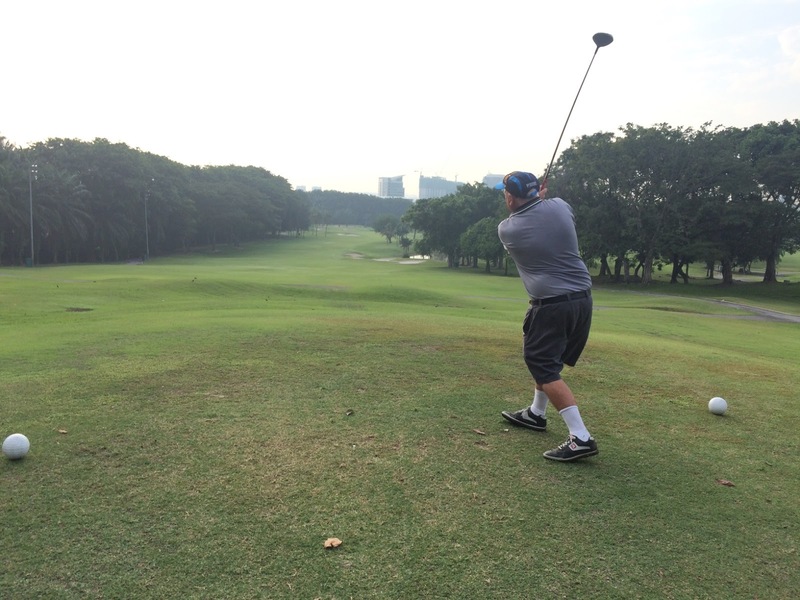 KGSAAS was in good shape as 3 full flights tee’d off on the President 9 at 8:00am. 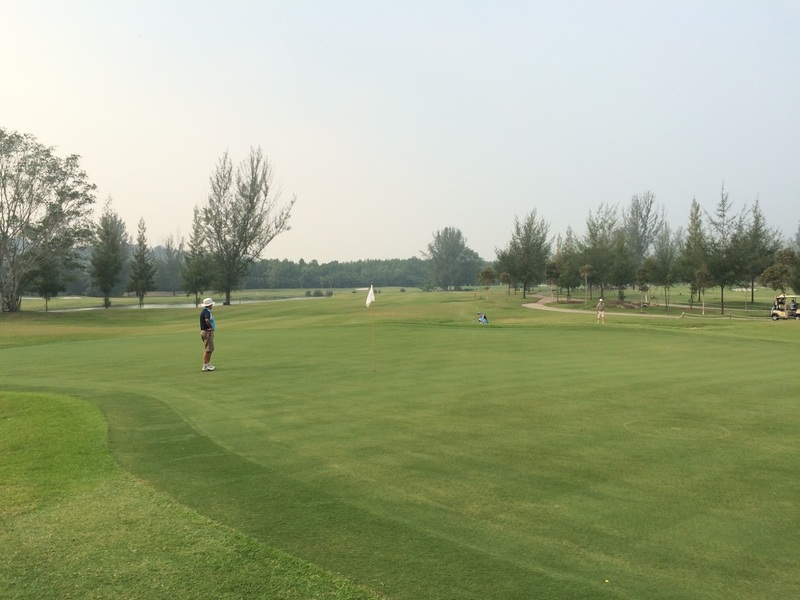 Greens were very good but a little slow. 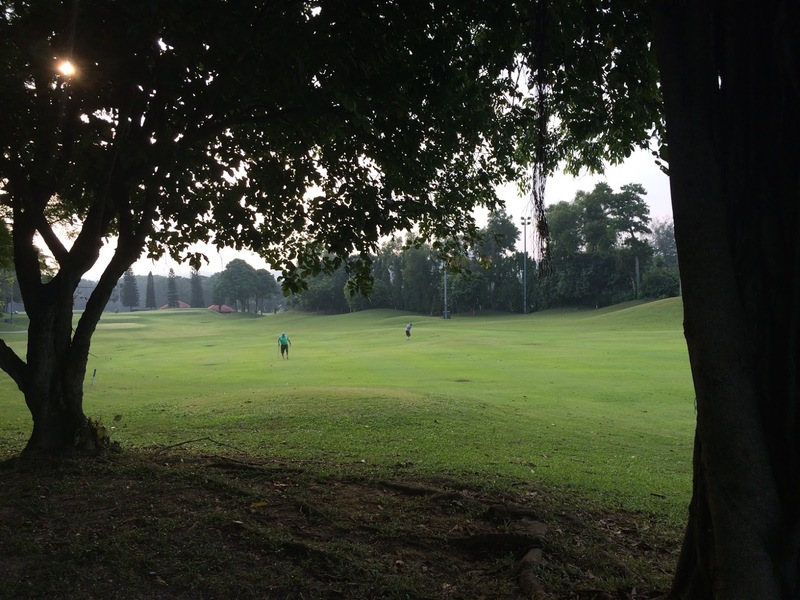 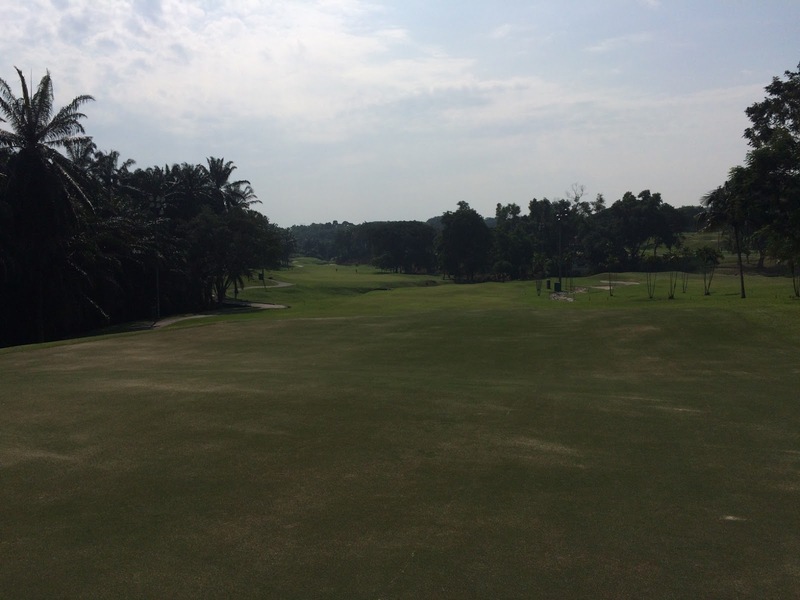 It was a lovely morning but it started to get very hot and humid by the back 9. 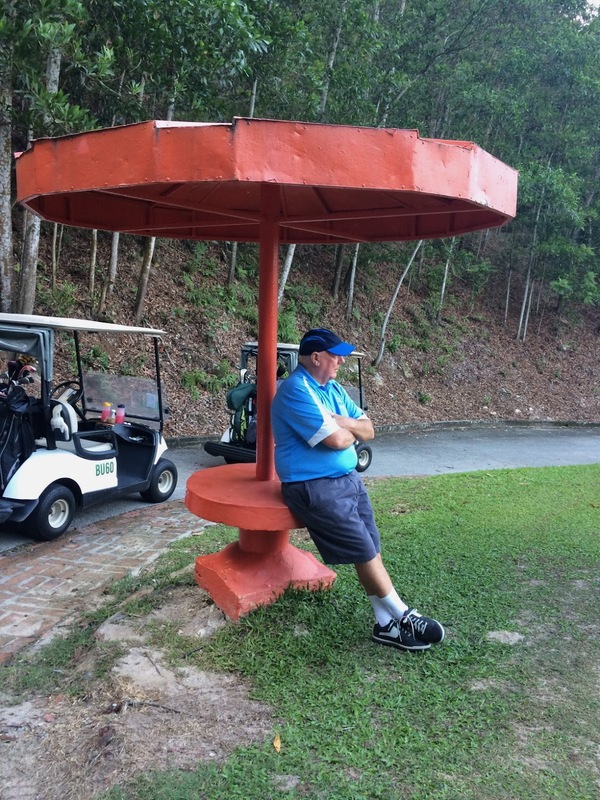 We all had lunch at the club following the game and struggled as usual with the very poor service to get our food and drinks – far better up the stairs at the Chinese restaurant. 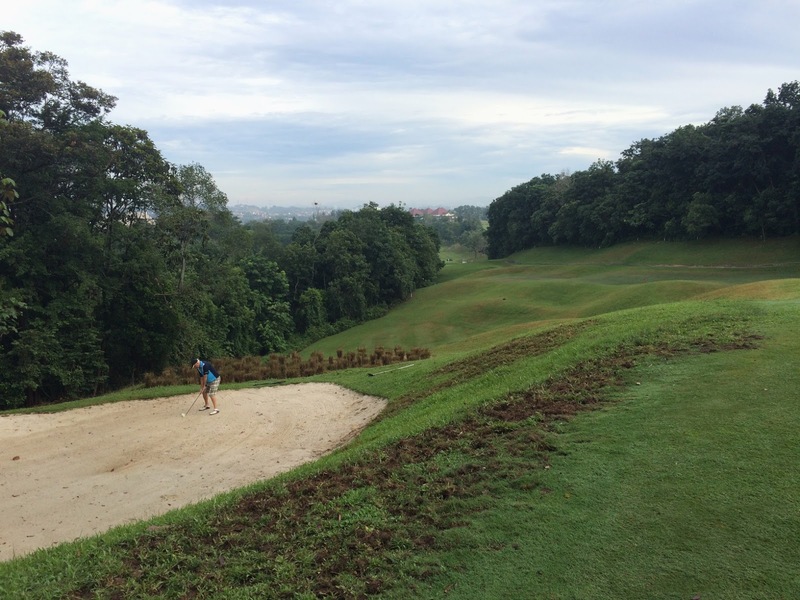 There were only 10 of us today at Bukit Unggul. 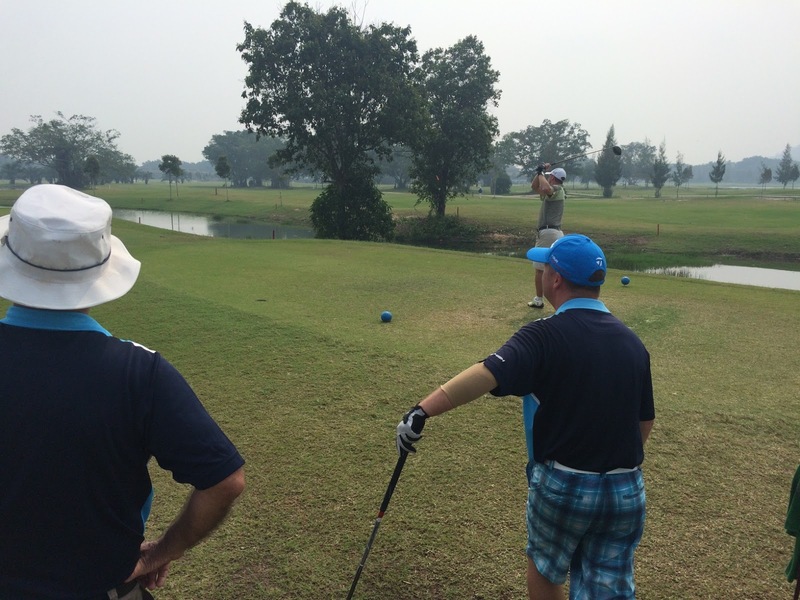 After a short wait to start as they had all flights starting on Hole No 10 today we were soon underway and were not duly held up after this. 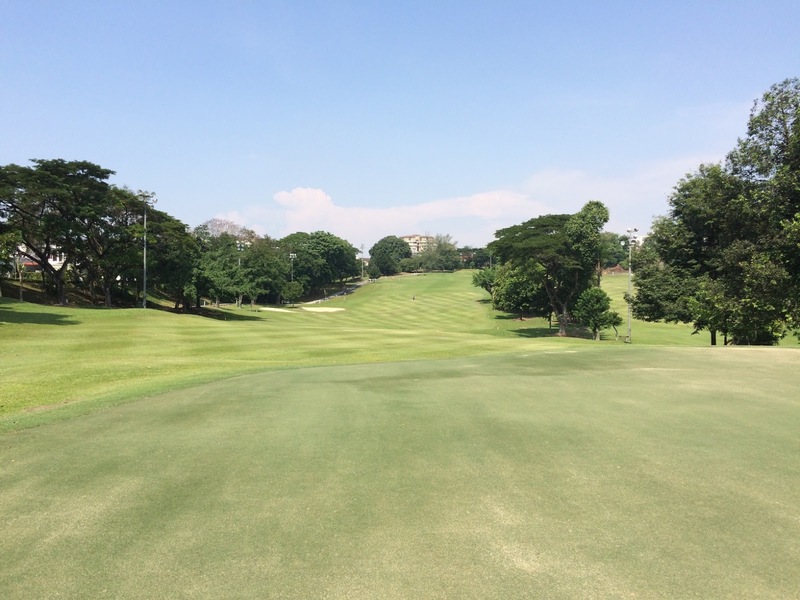 Weather was great and the course was in good shape even with recently sanded greens. 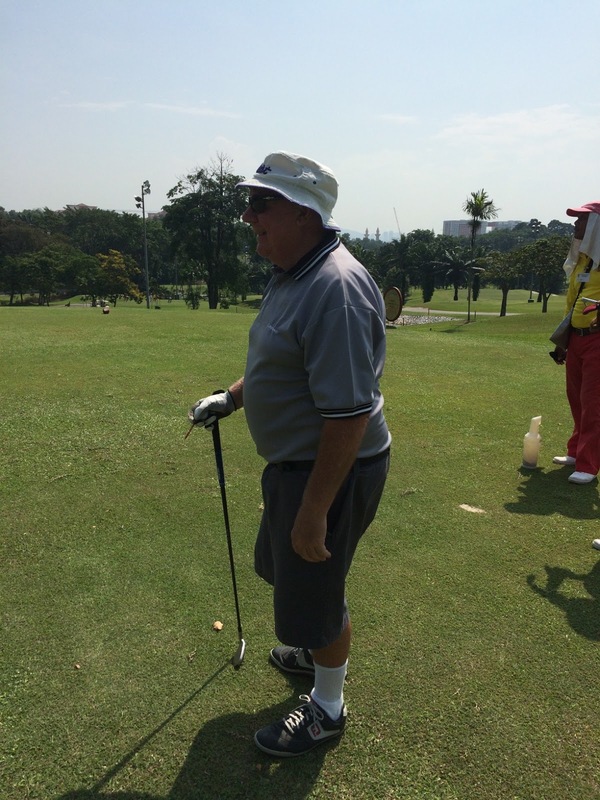 After the game we took lunch at the clubhouse and again sadly let down by the quality of the food and the slow and poor service …… some things never change. 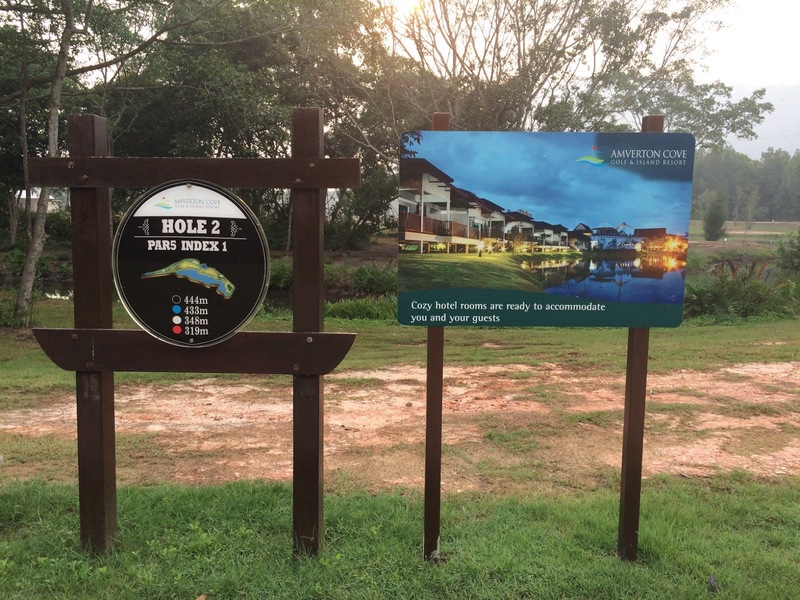 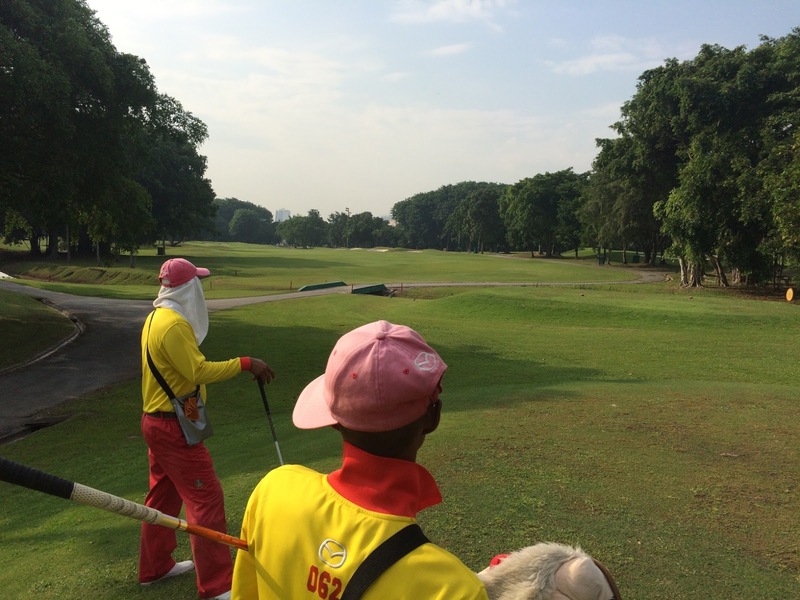 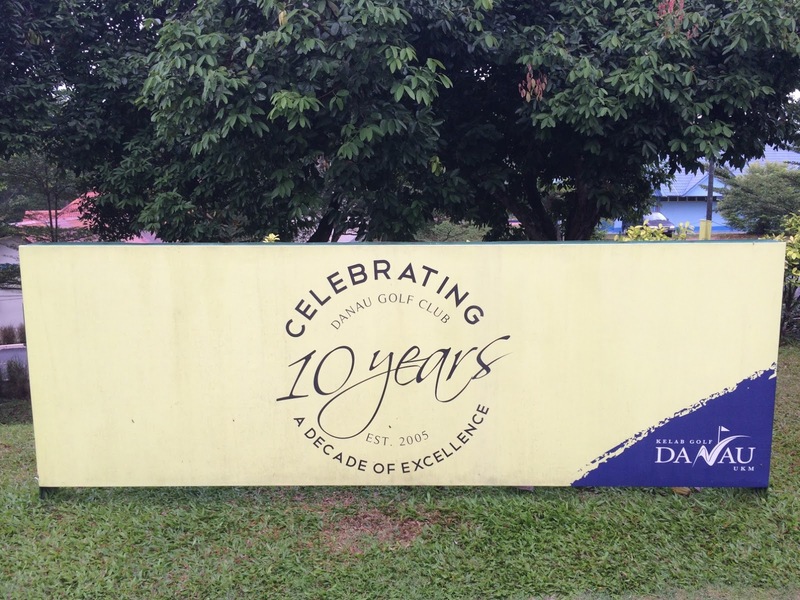 It was quite busy at Danau this morning but after an efficient and problem free check in we all teed off at around 8:10 to 8:30 from the 1st 9. 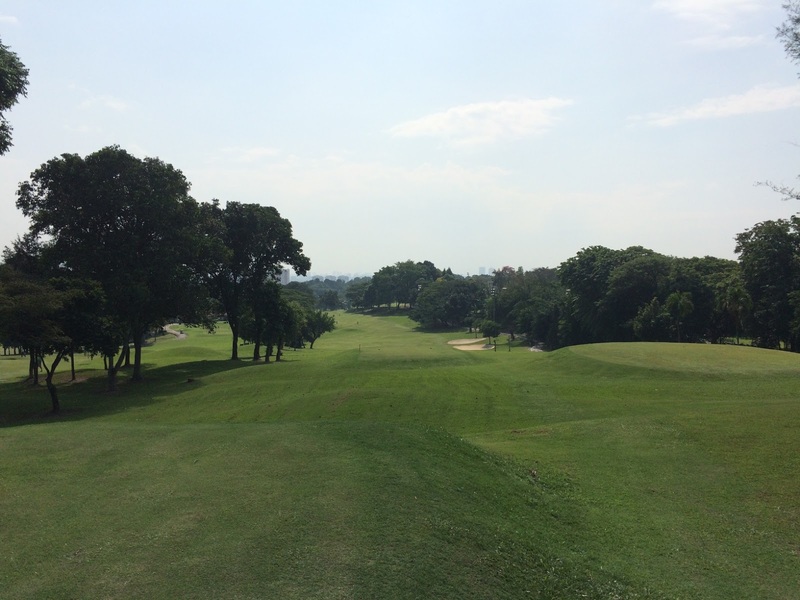 The first 3 holes at this course are very testing and the tough nature of this course was certainly obvious in the scores posted. 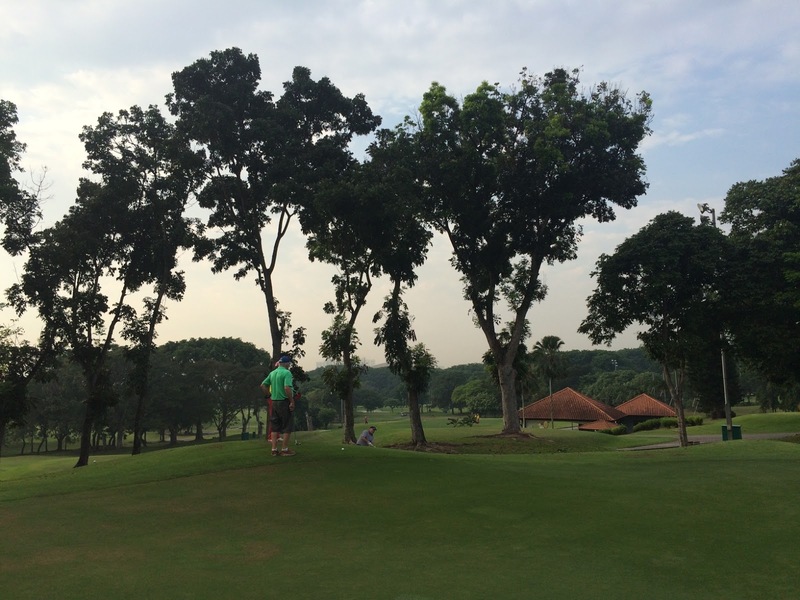 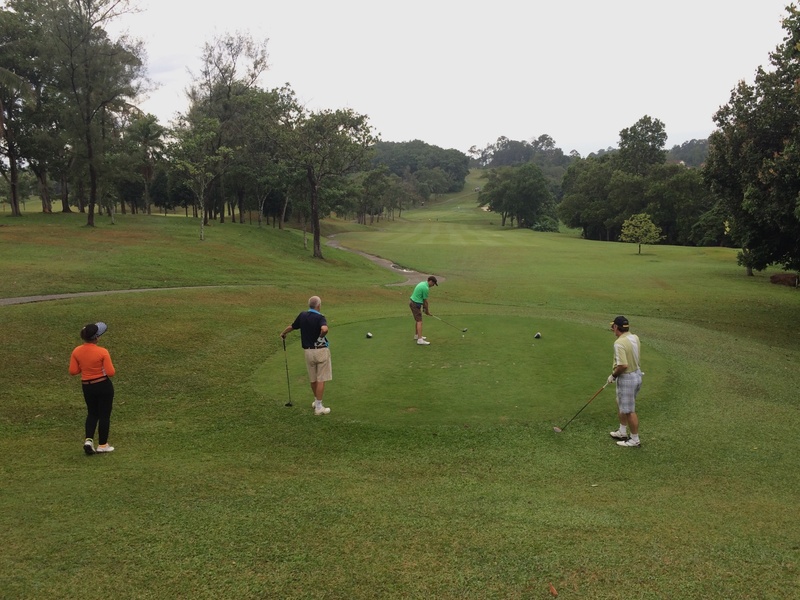 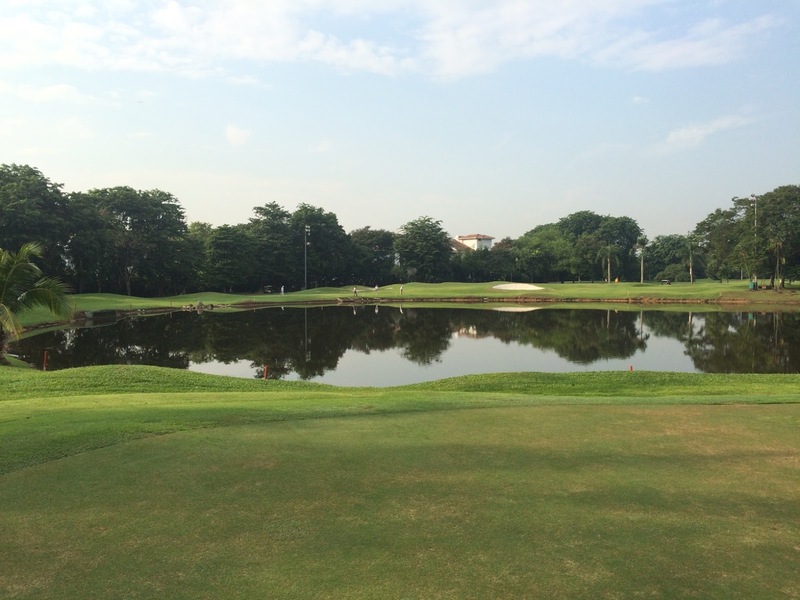 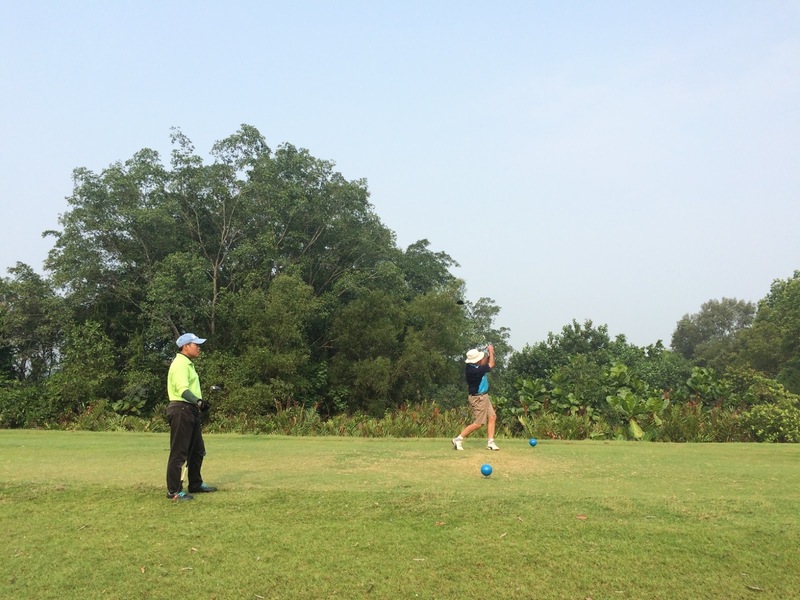 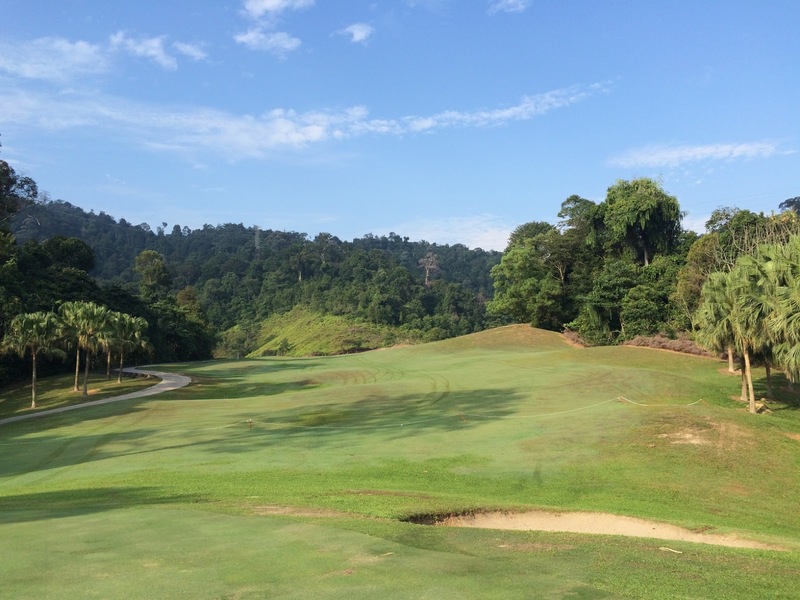 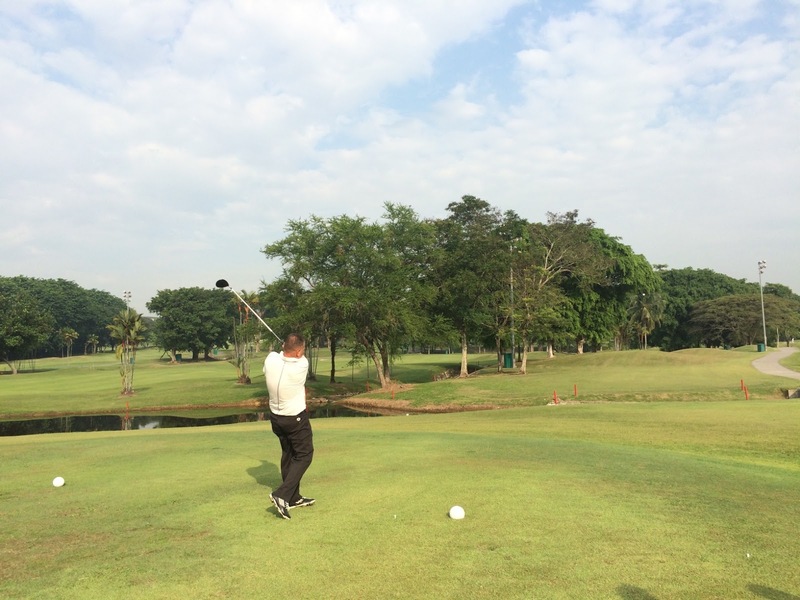 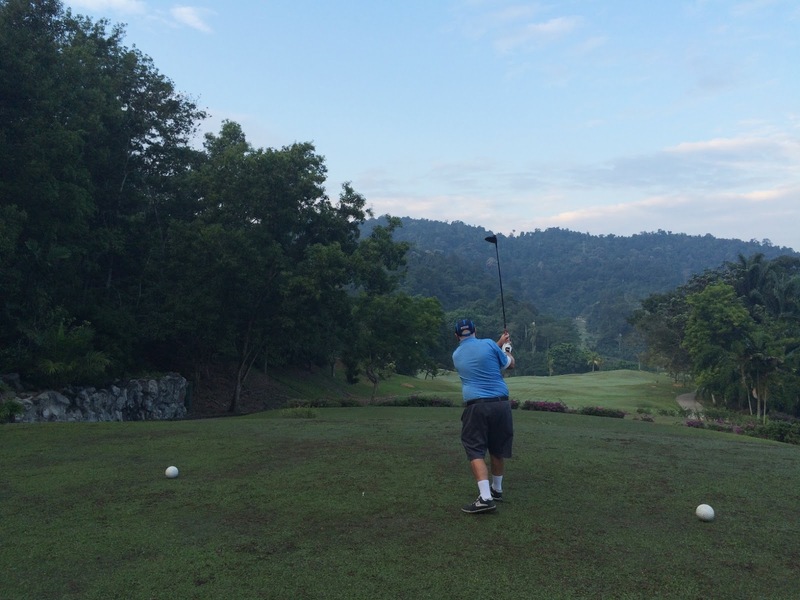 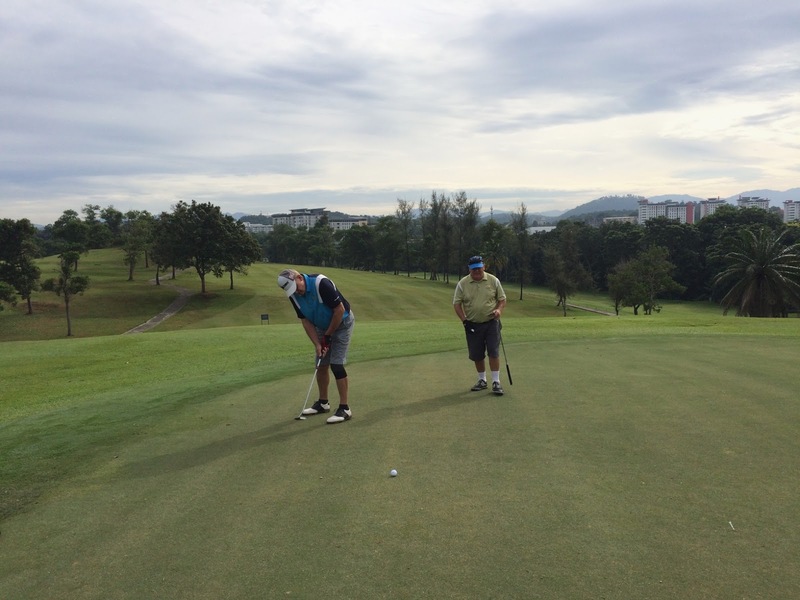 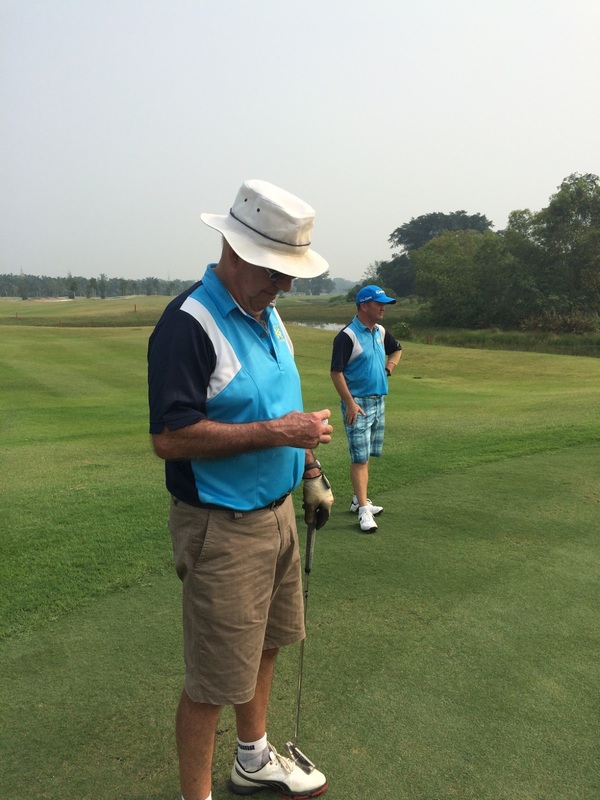 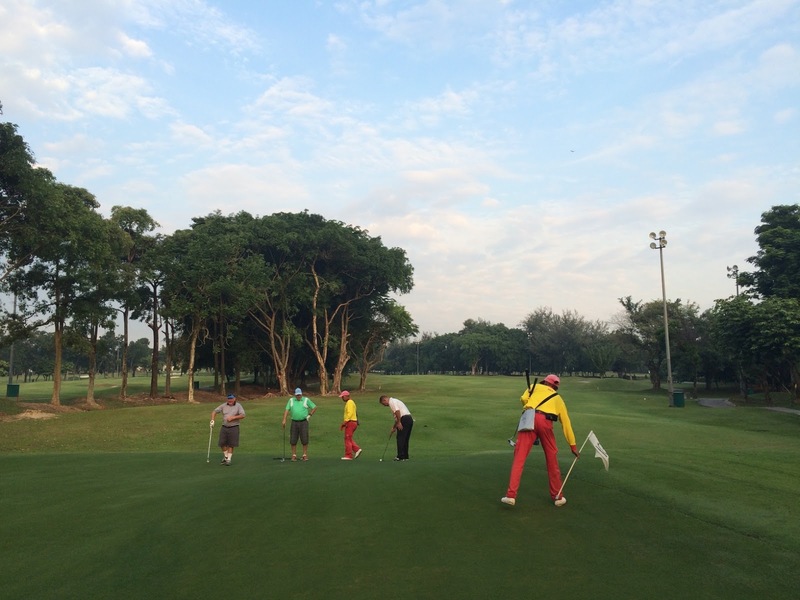 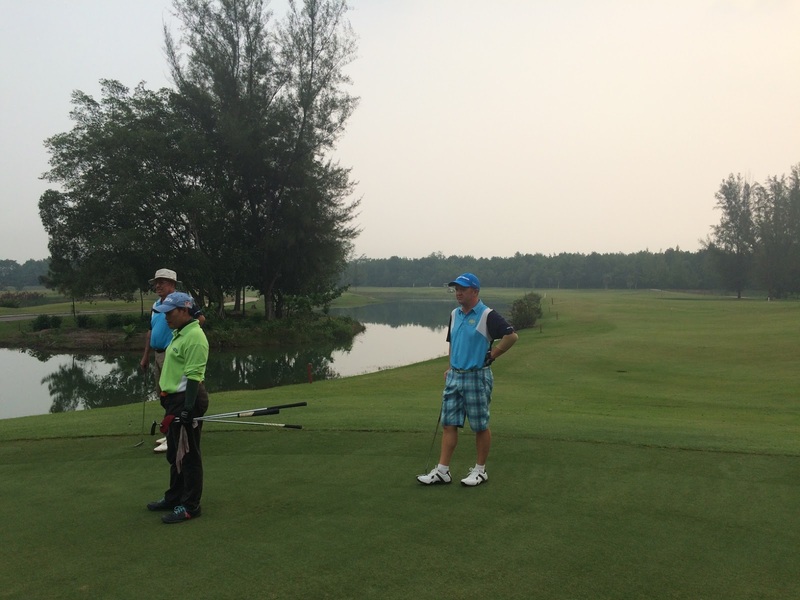 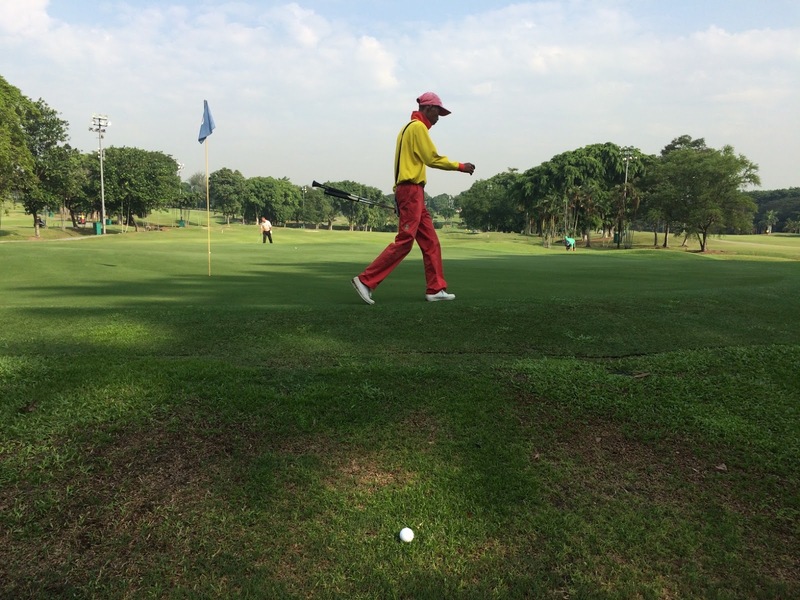 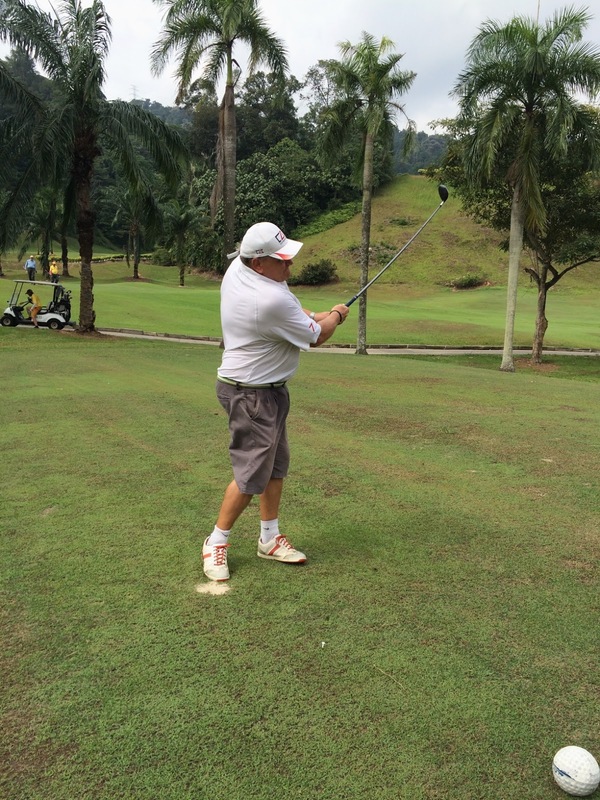 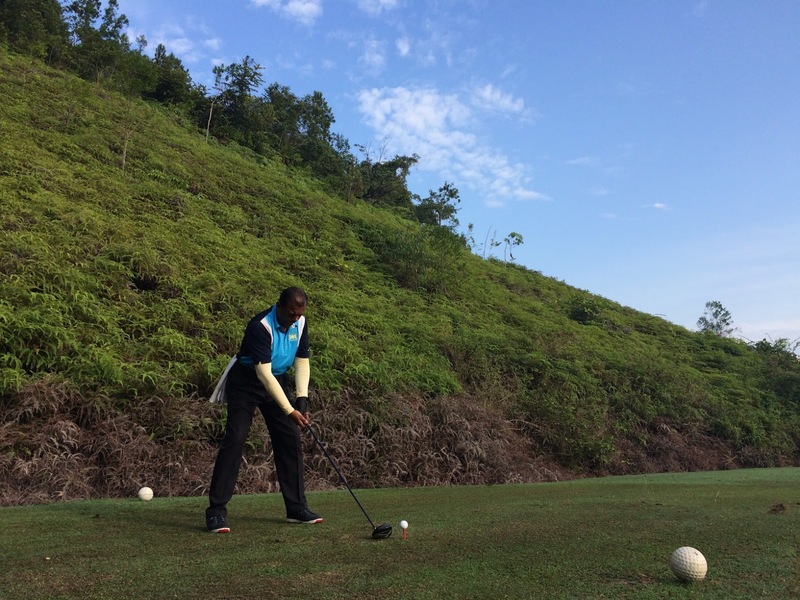 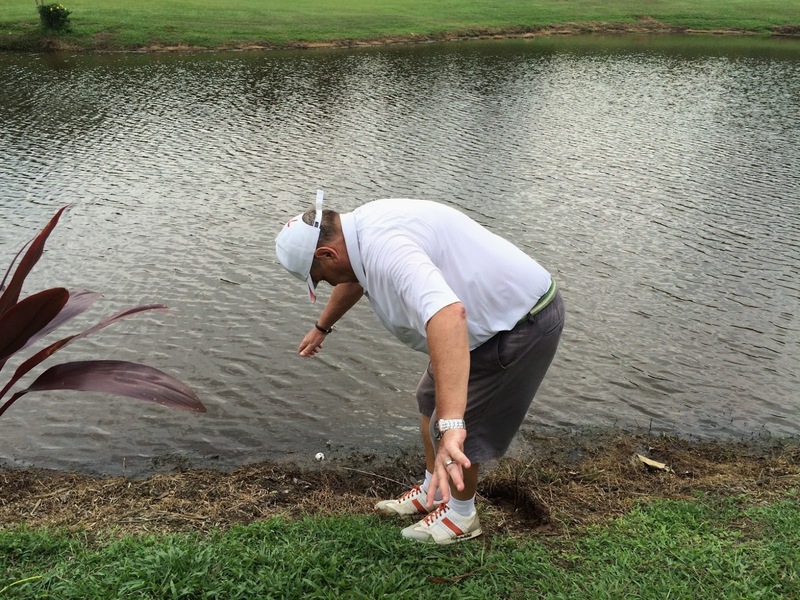 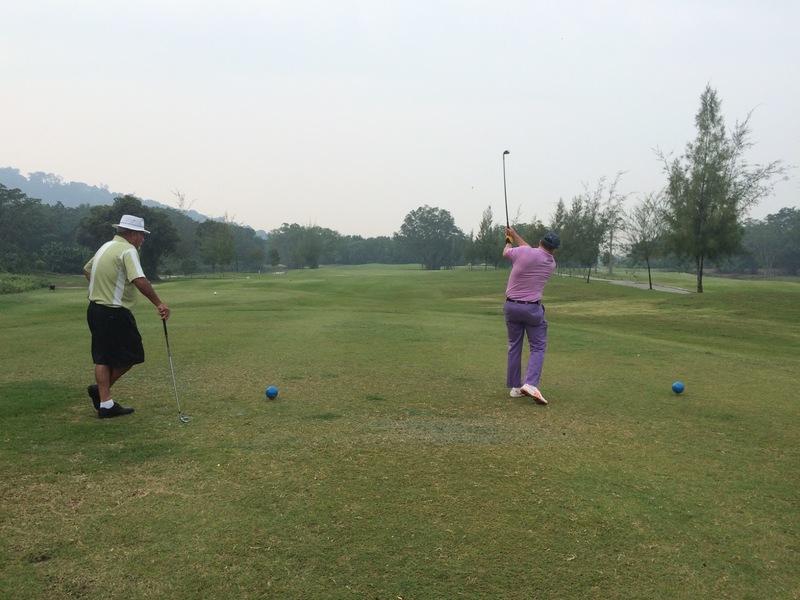 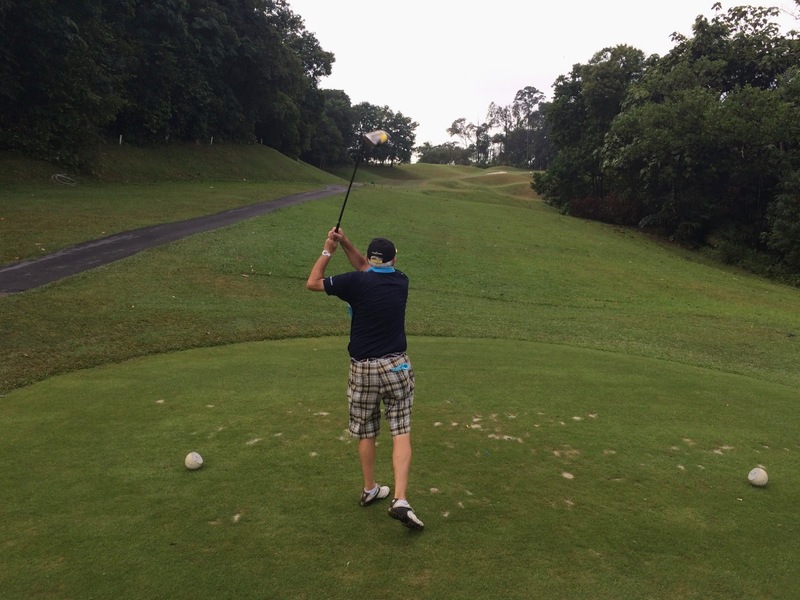 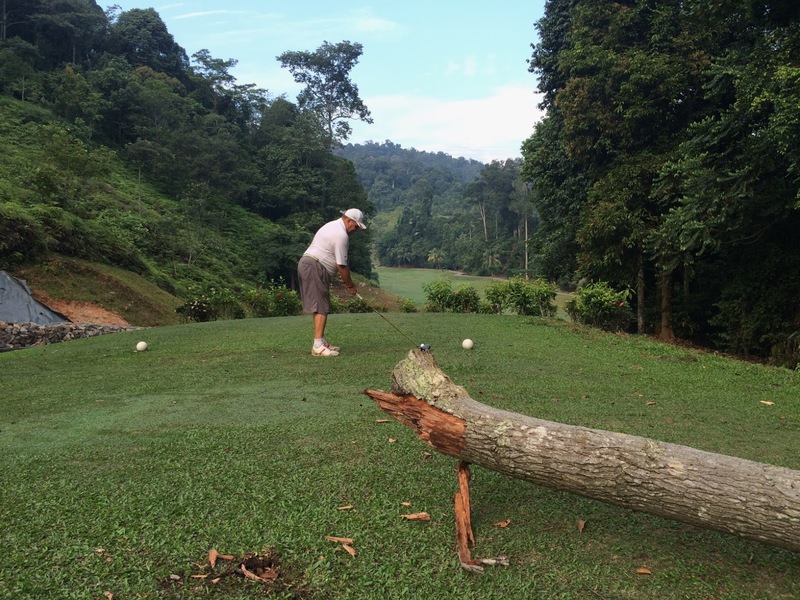 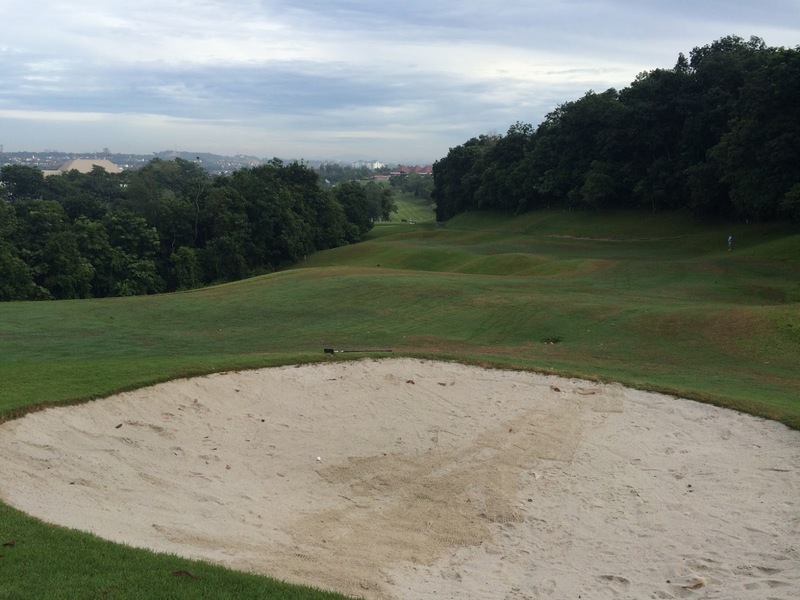 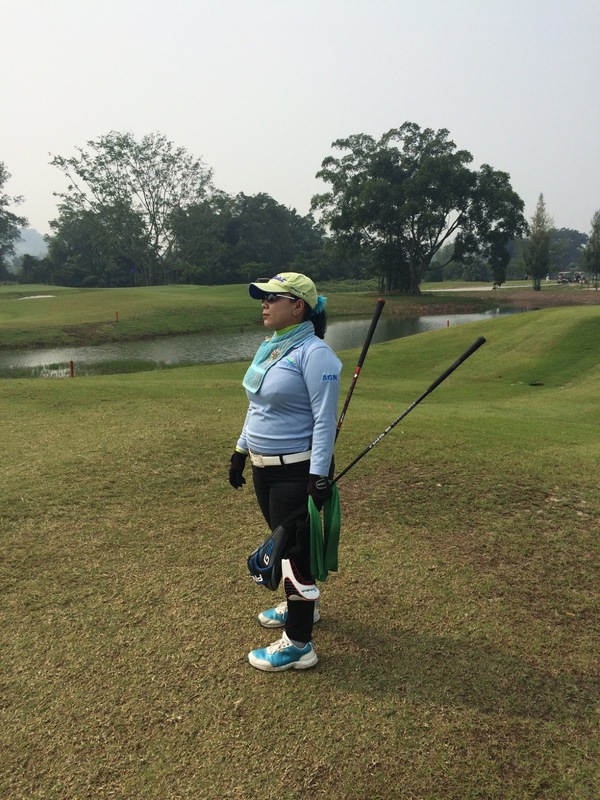 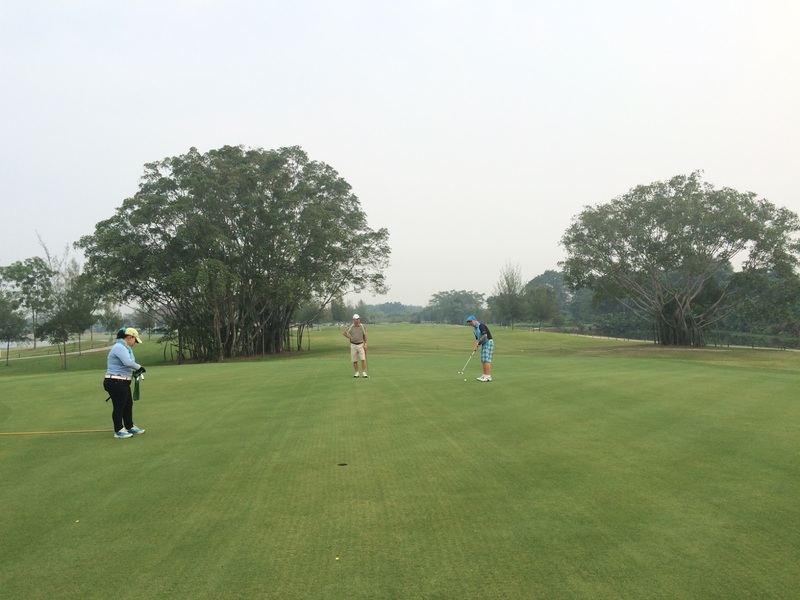 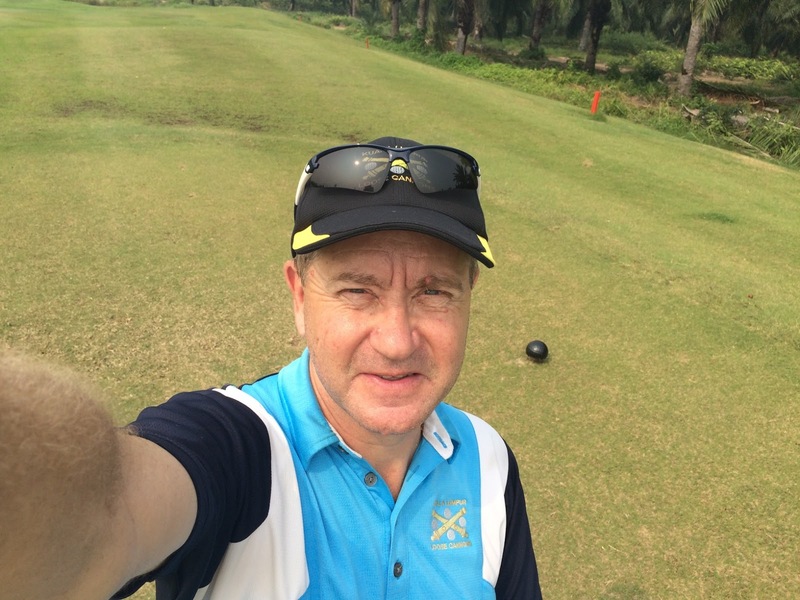 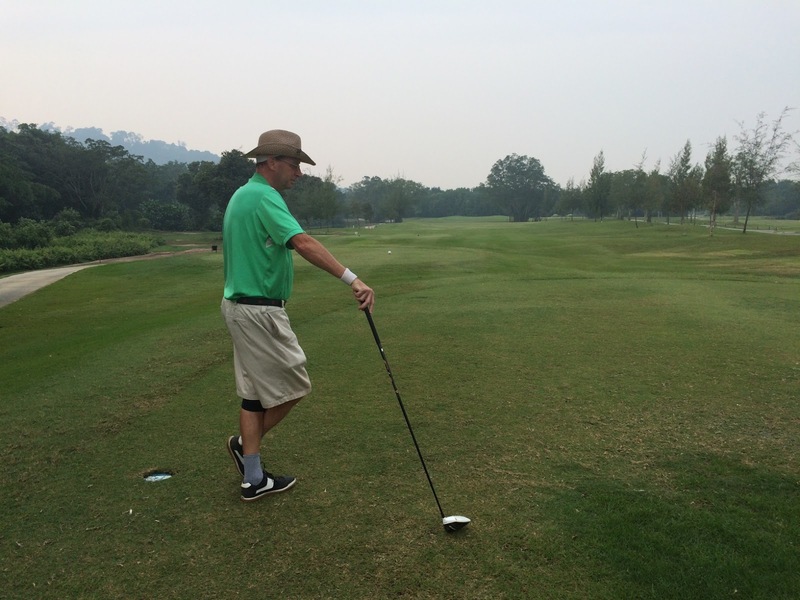 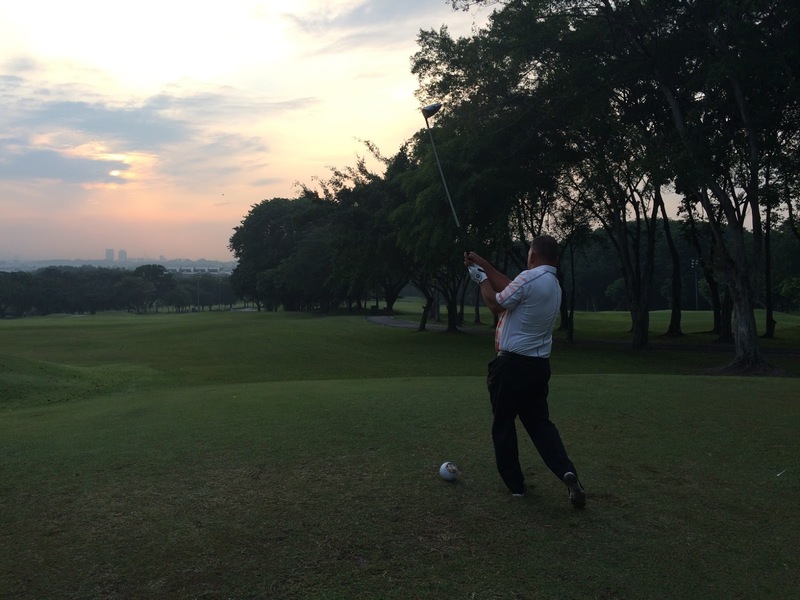 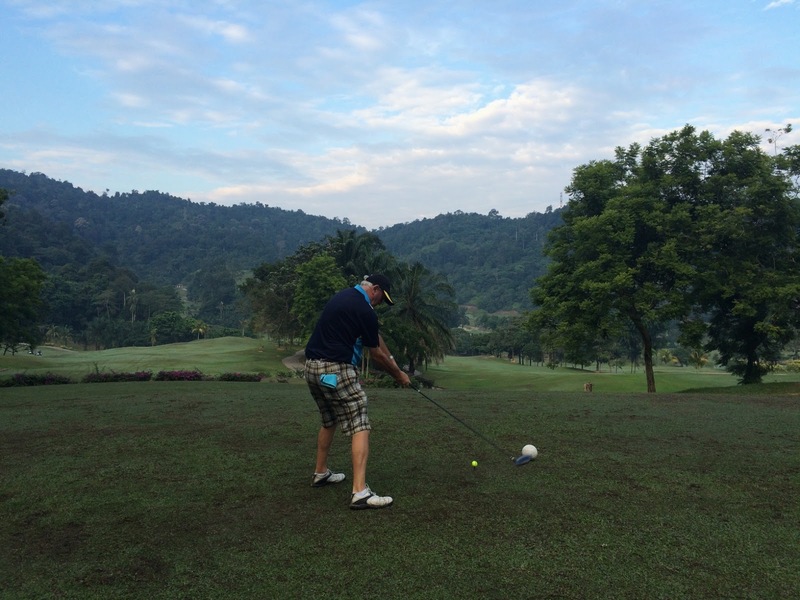 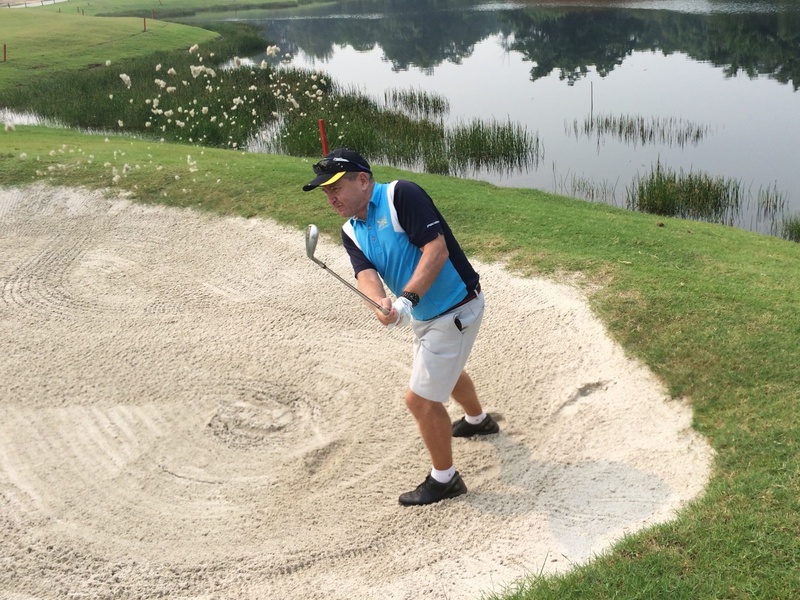 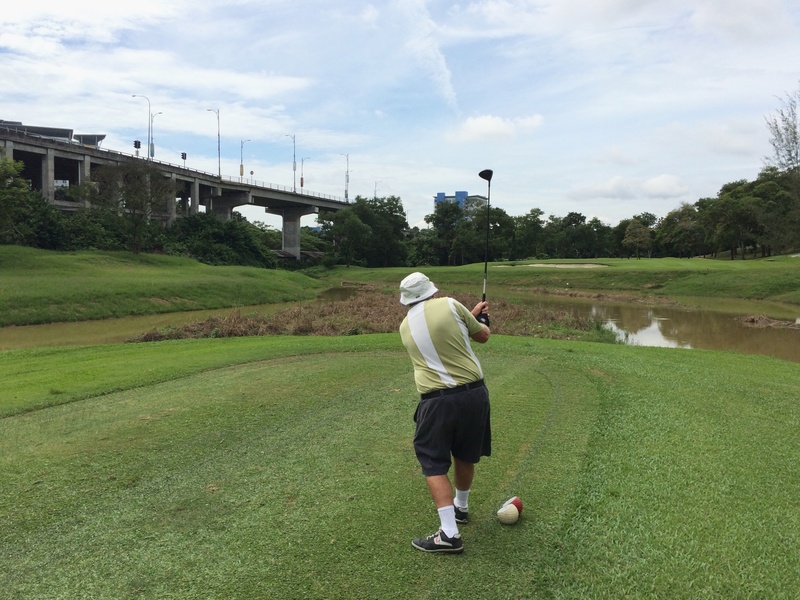 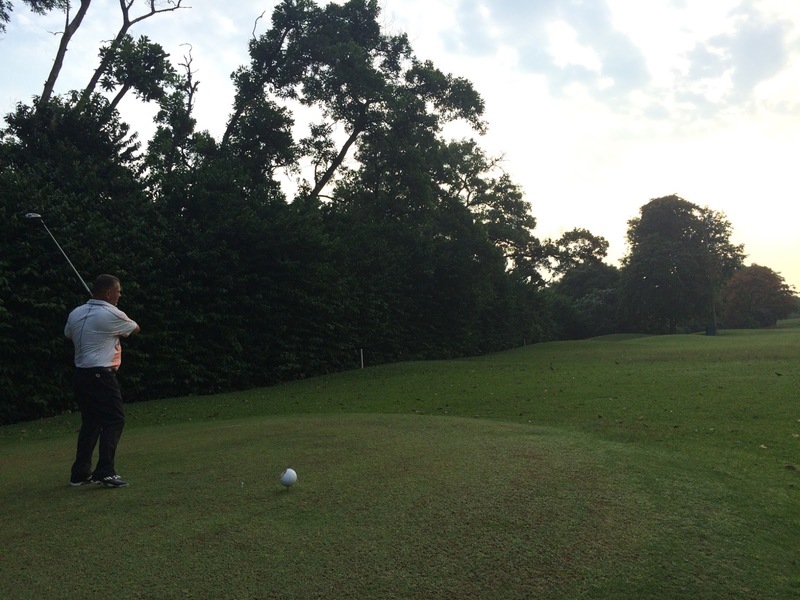 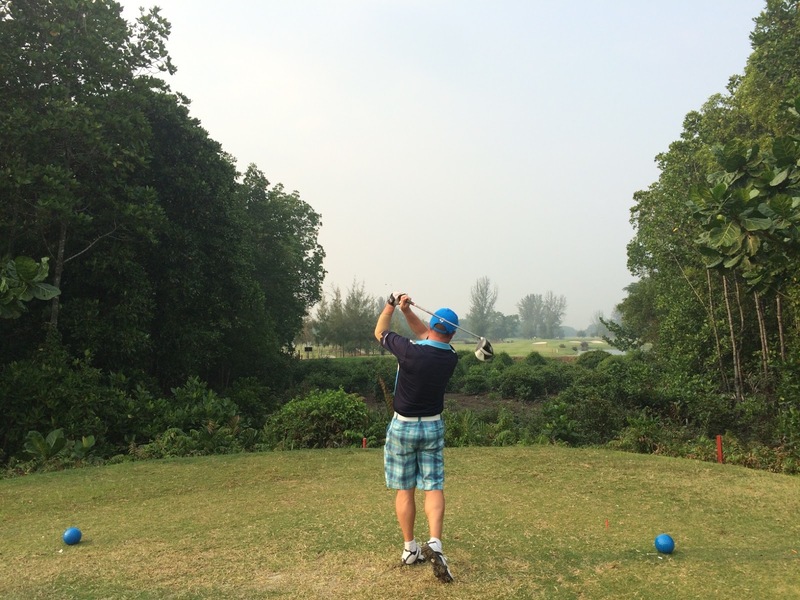 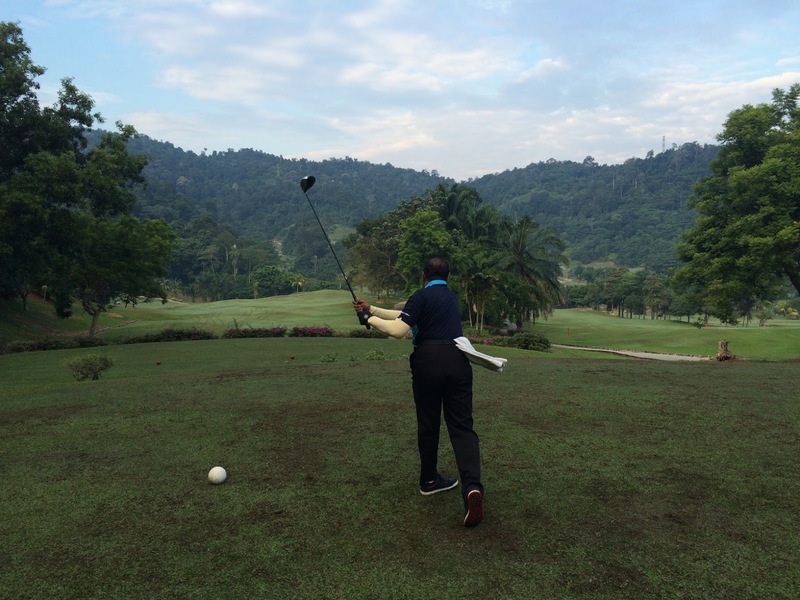 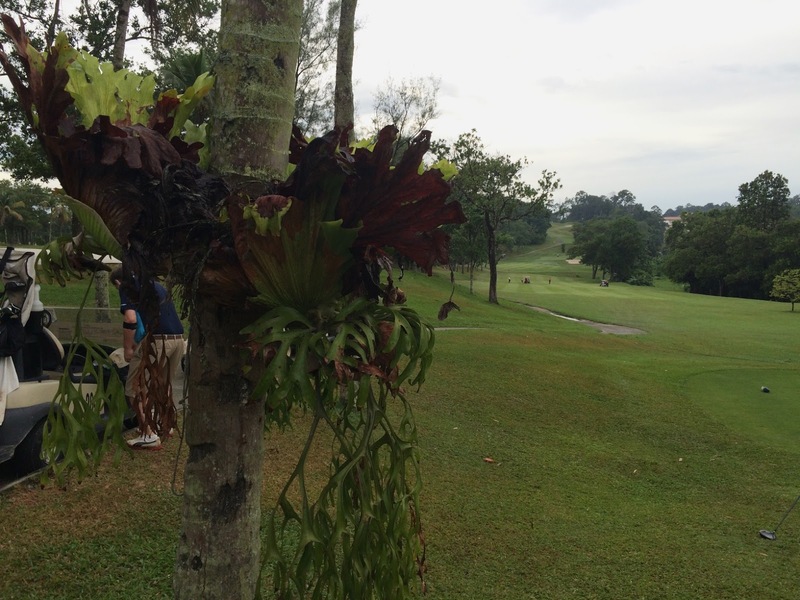 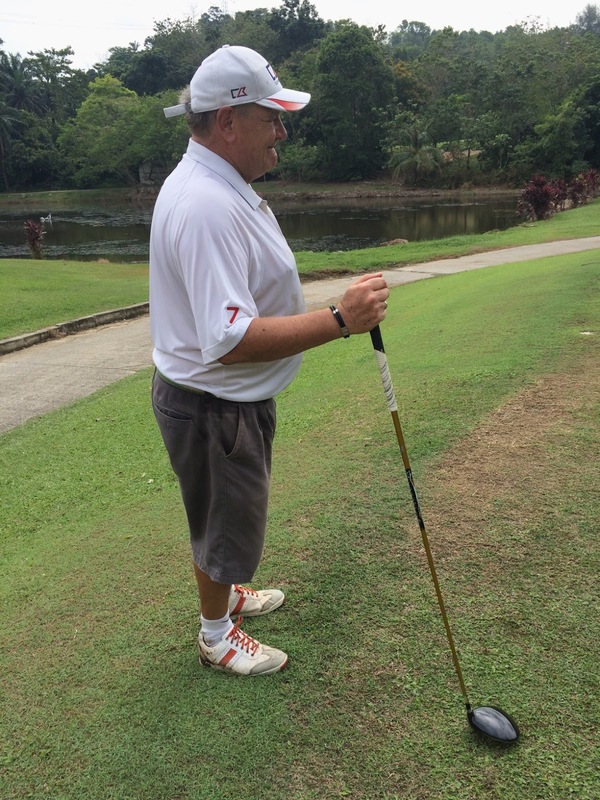 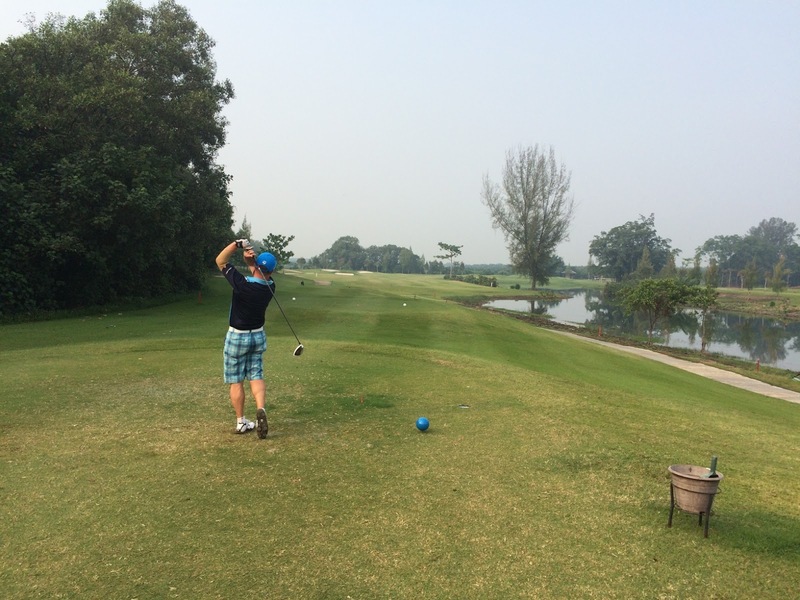 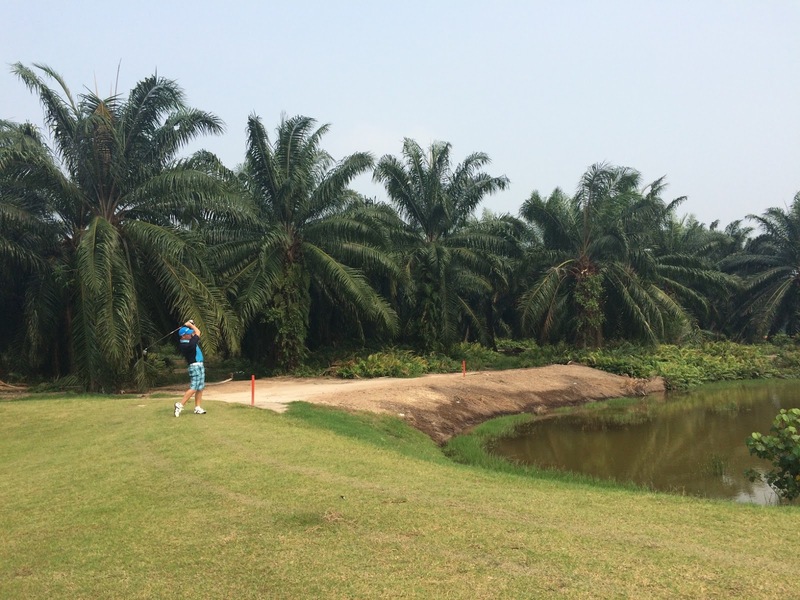 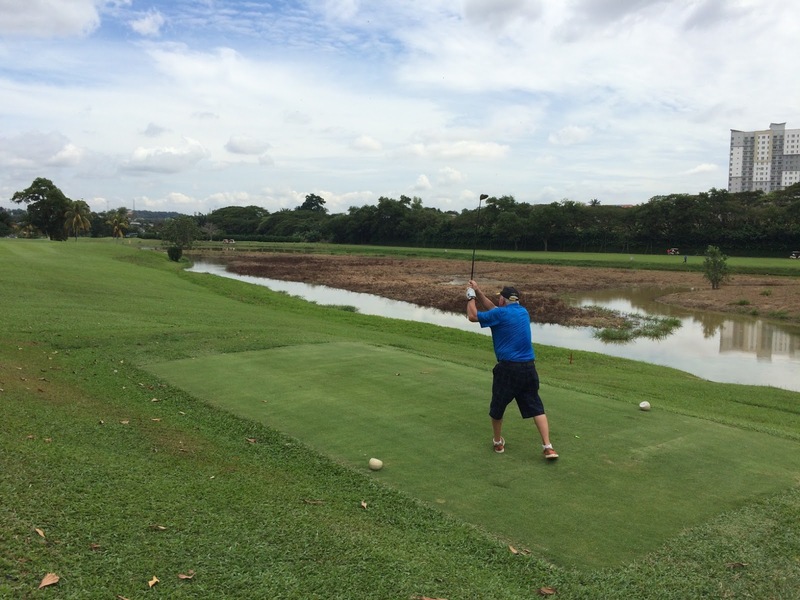 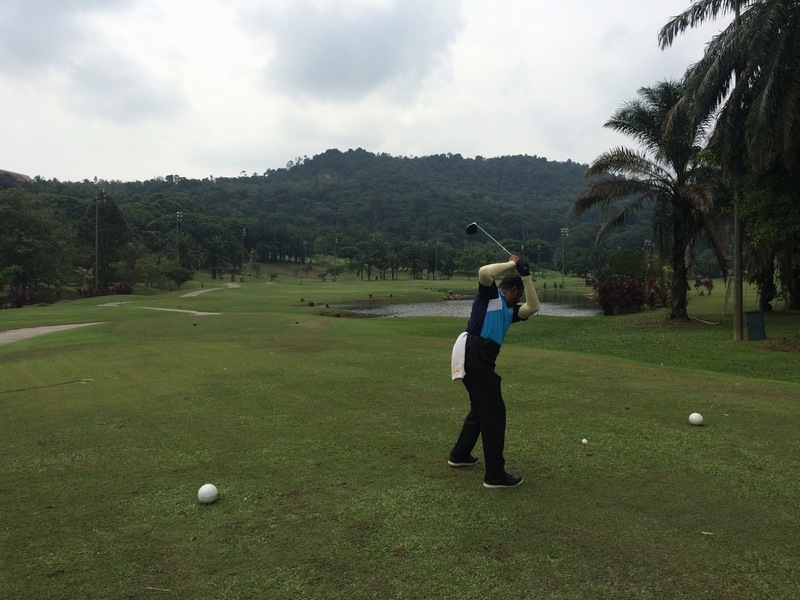 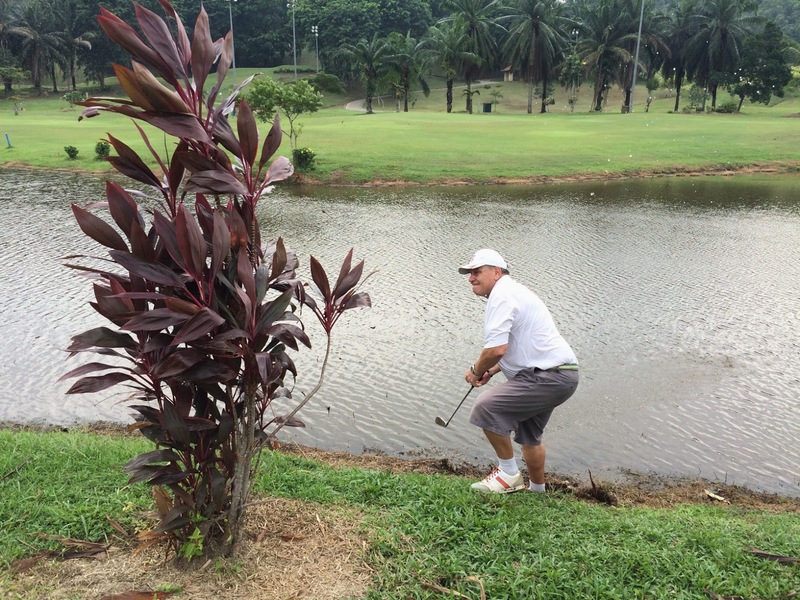 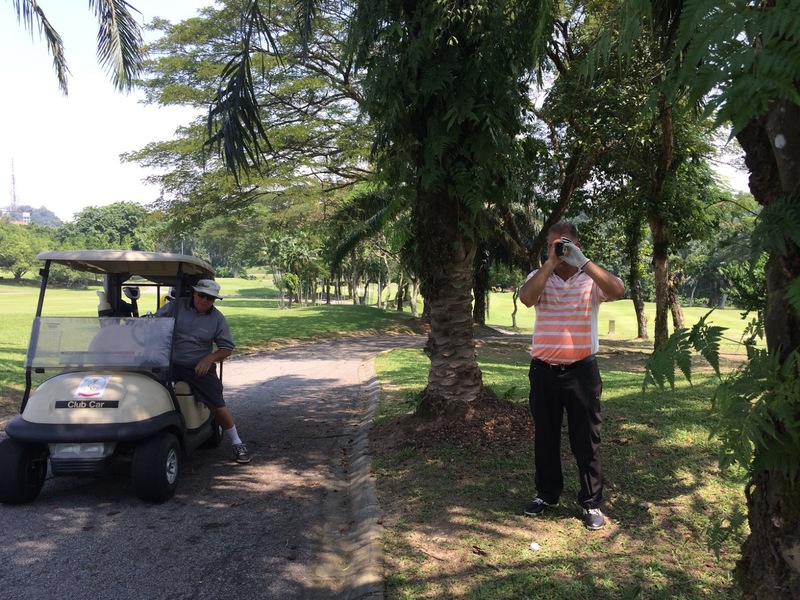 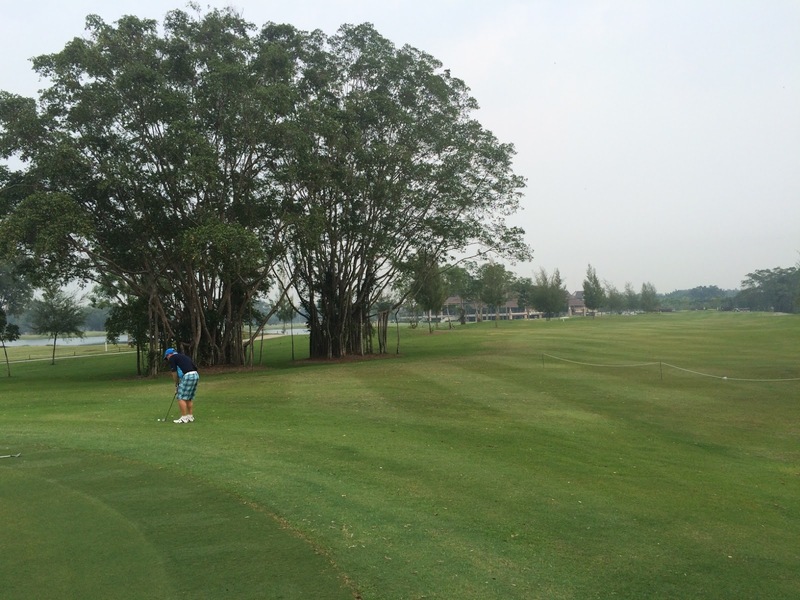 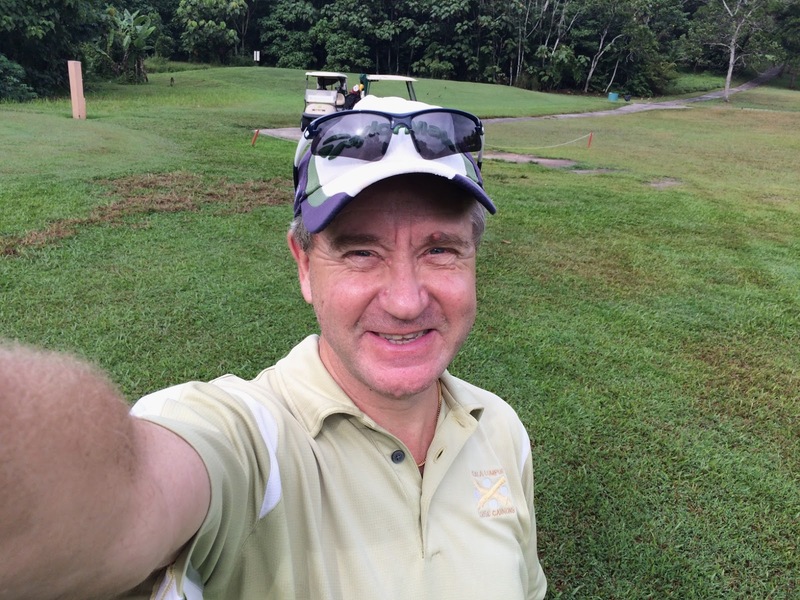 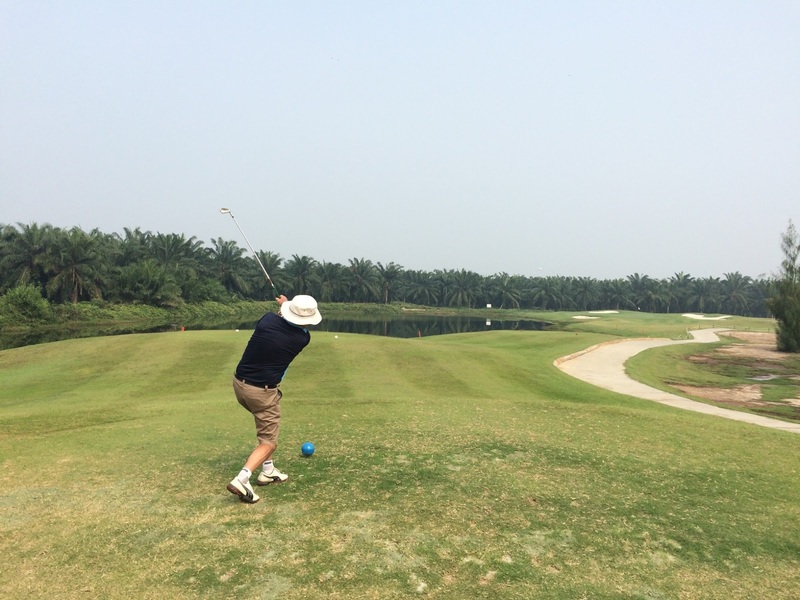 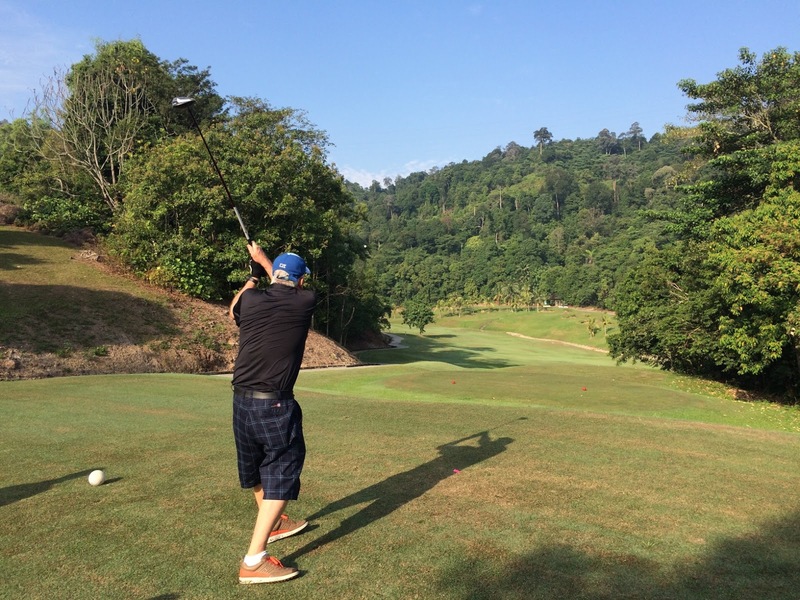 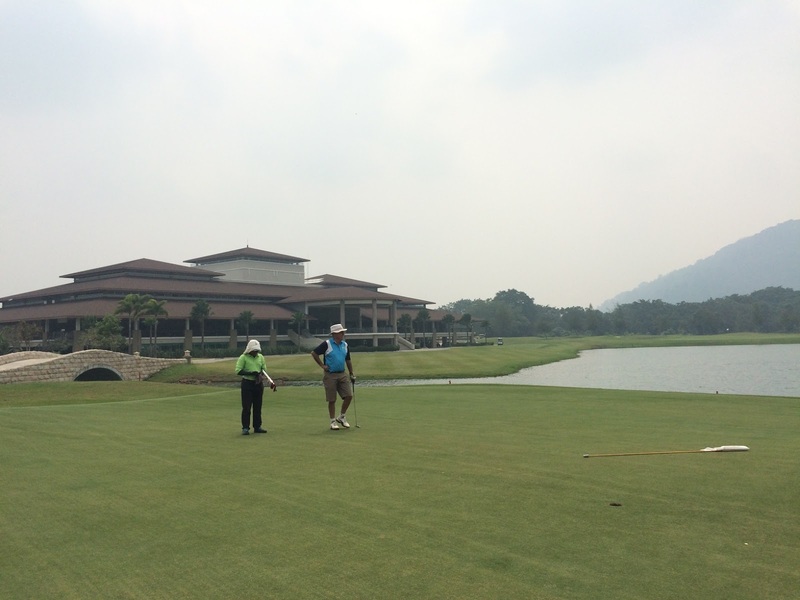 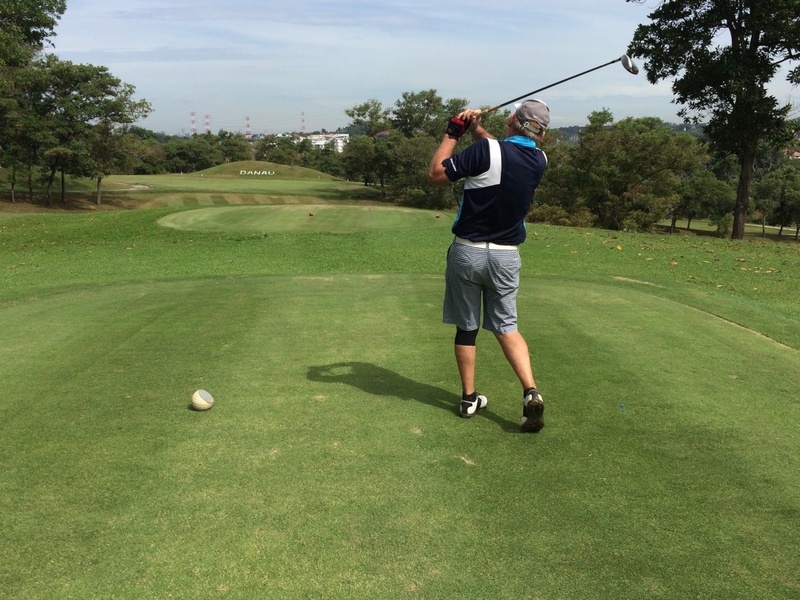 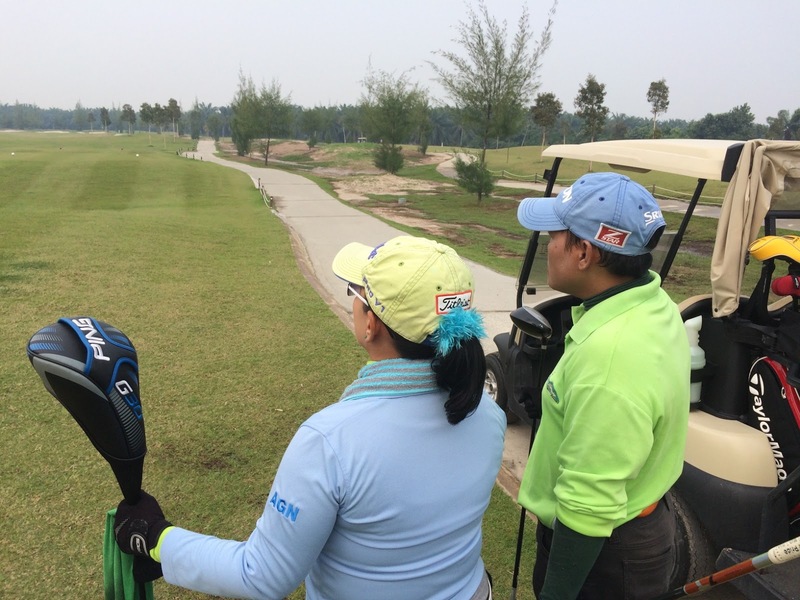 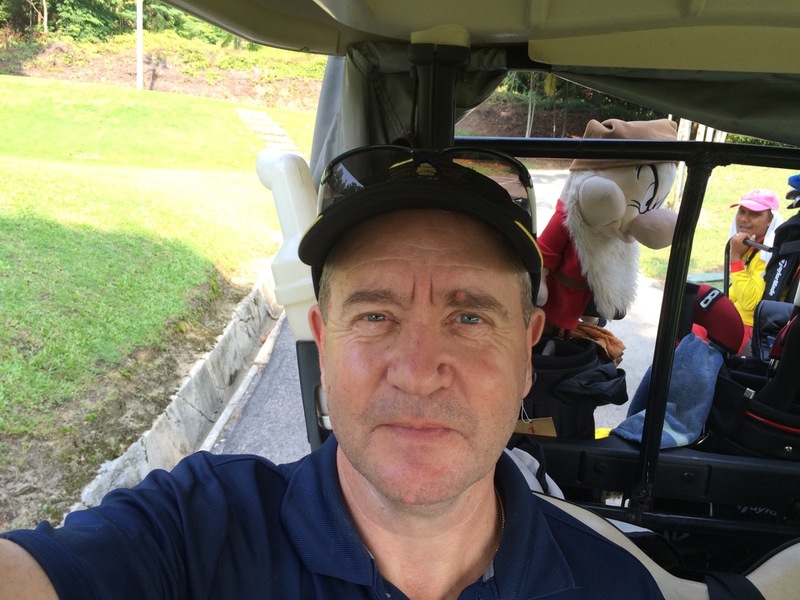 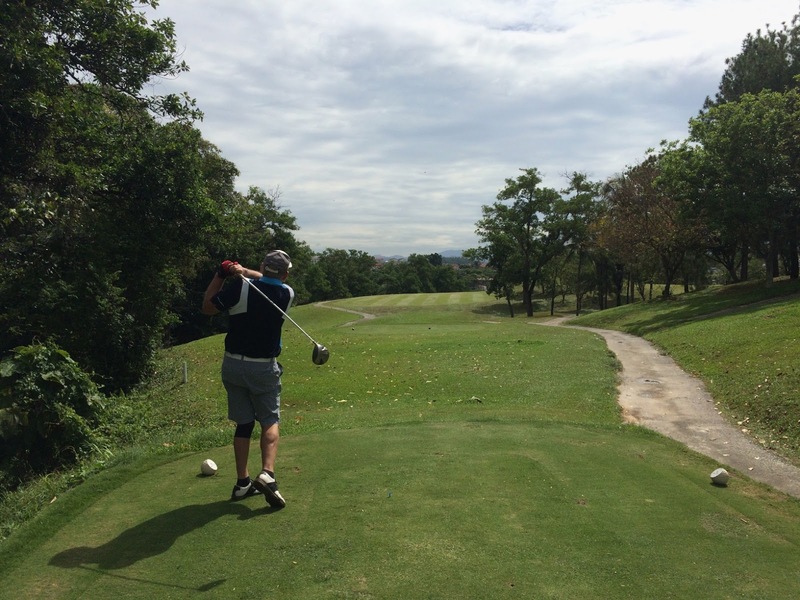 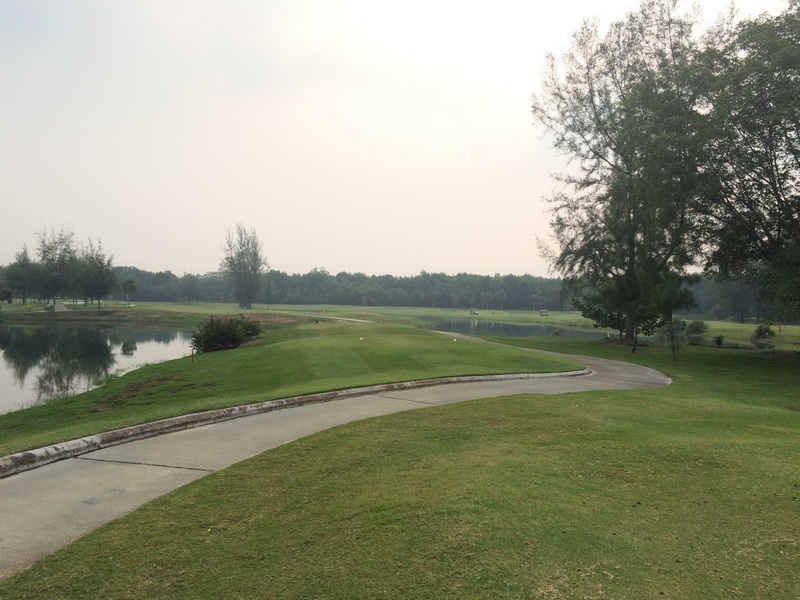 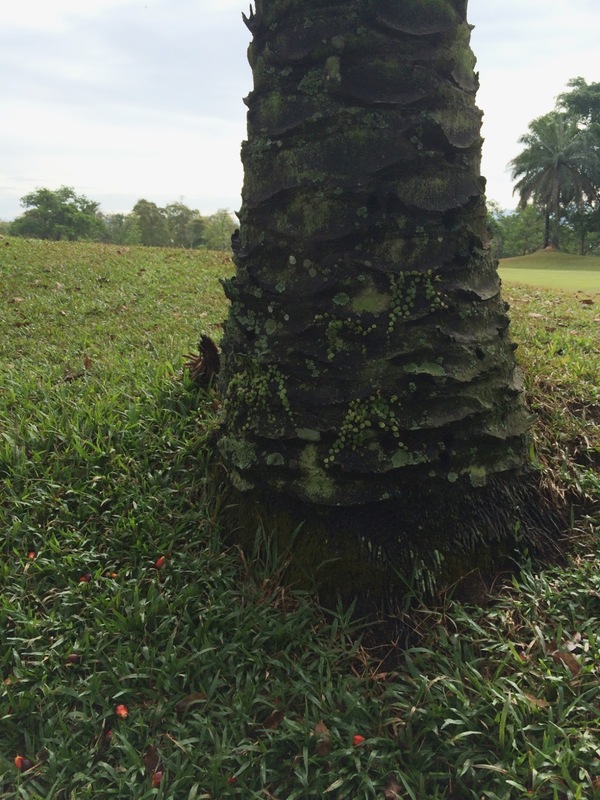 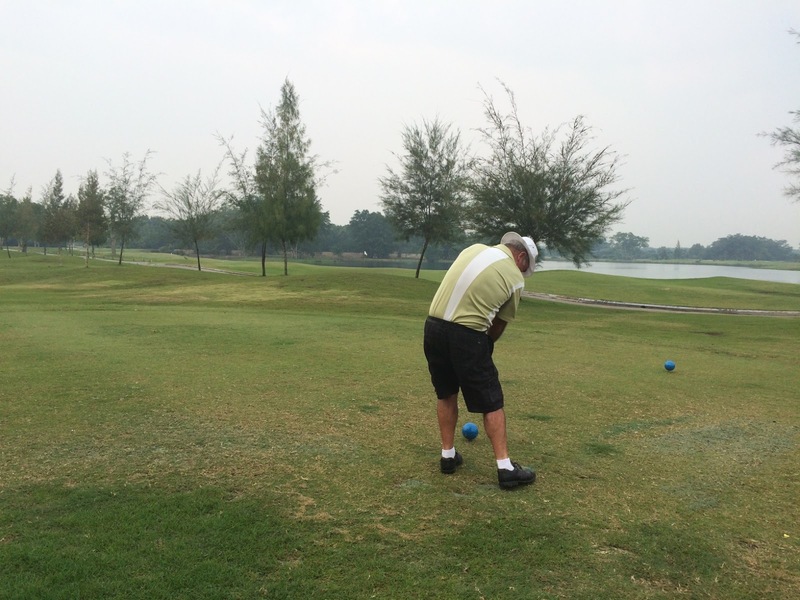 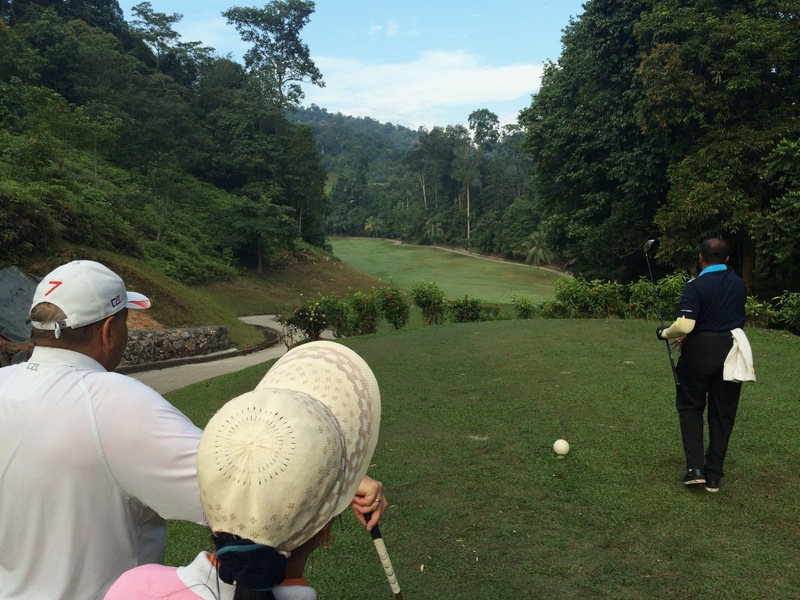 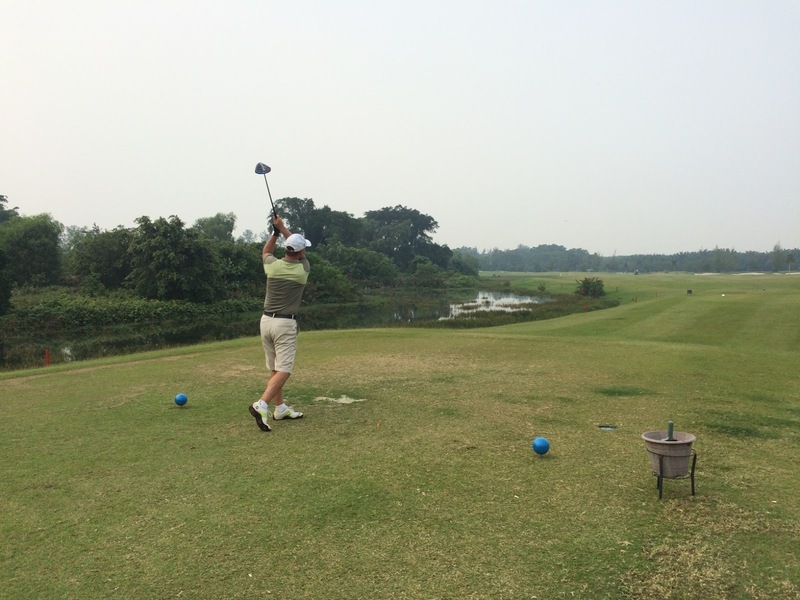 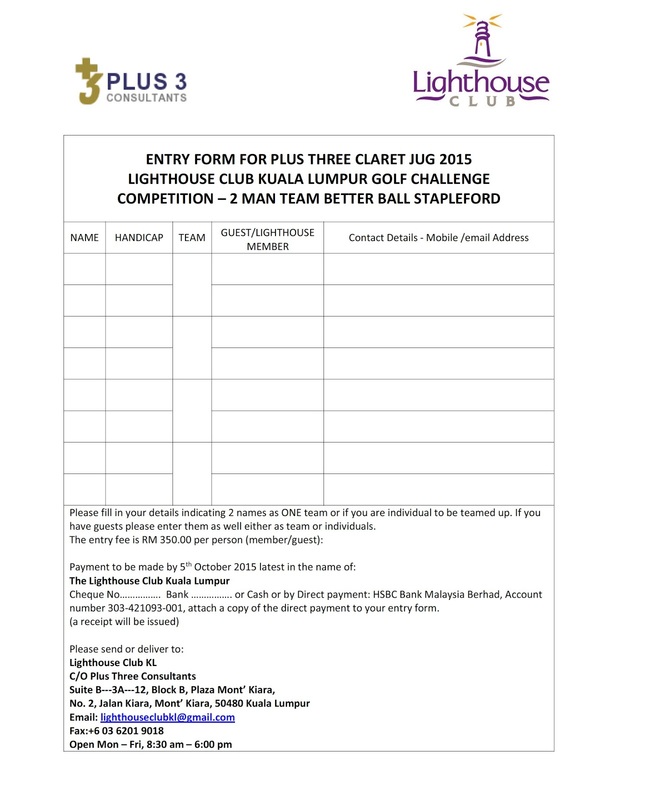 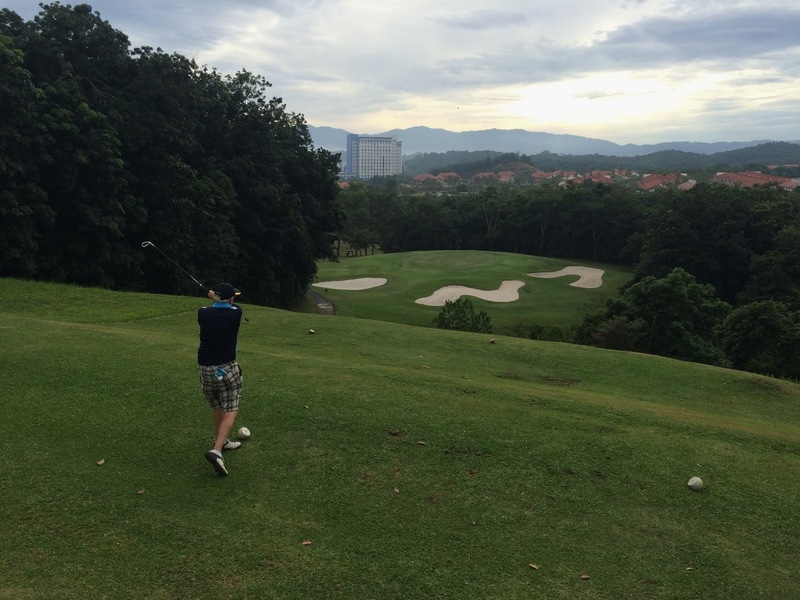 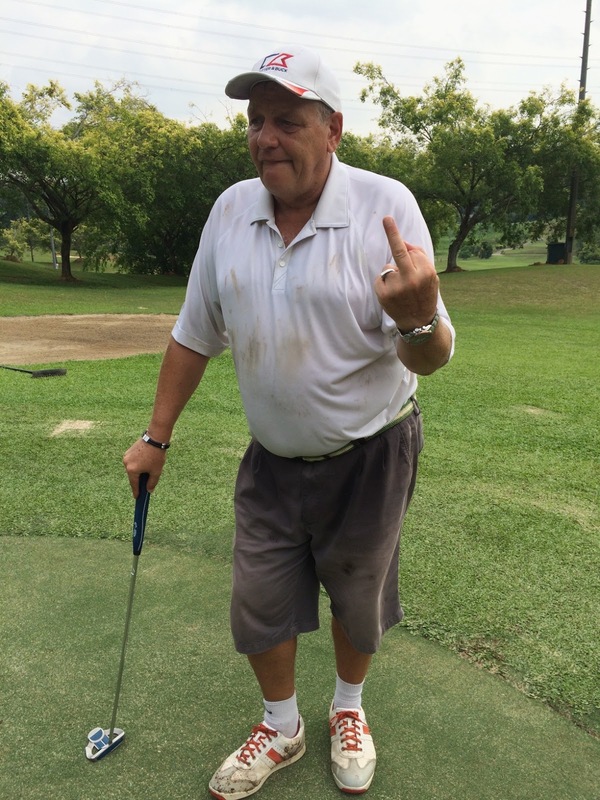 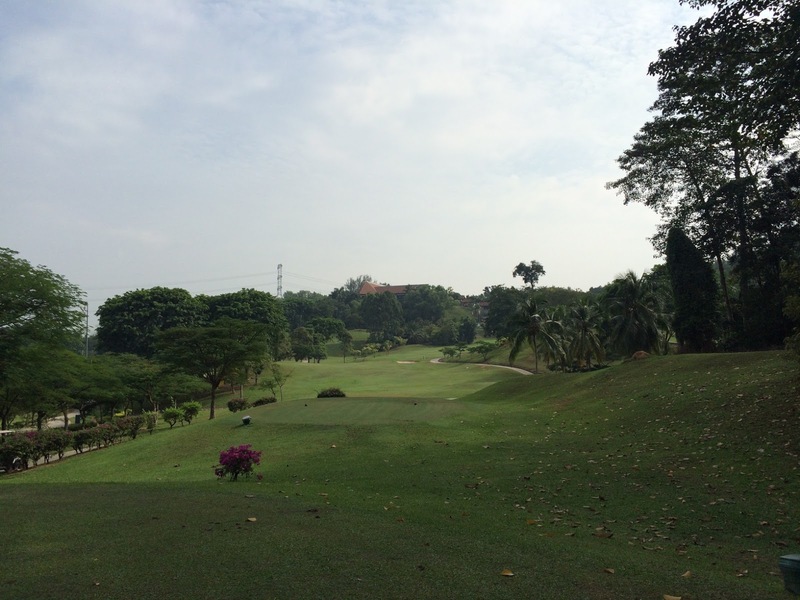 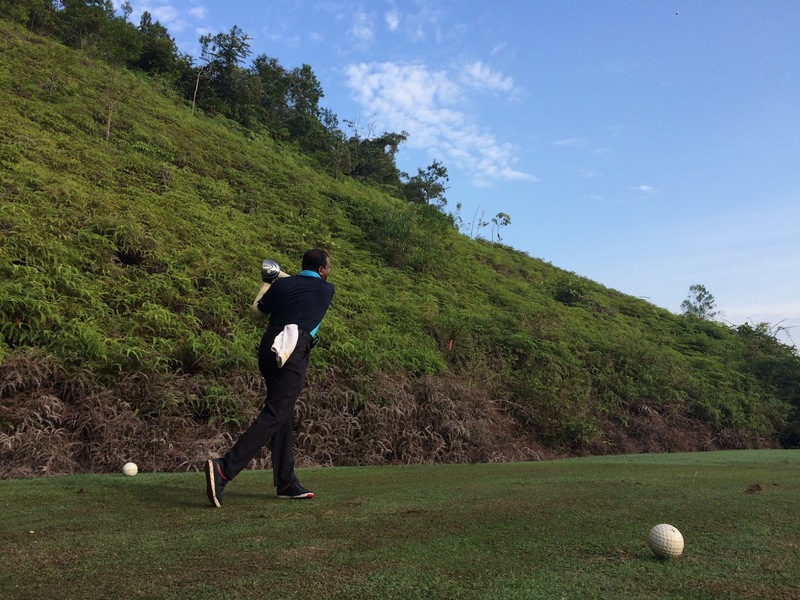 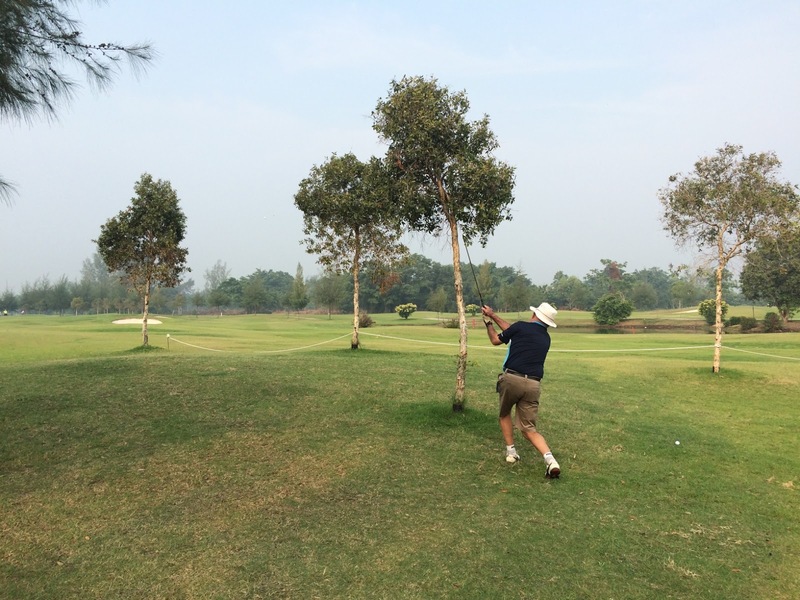 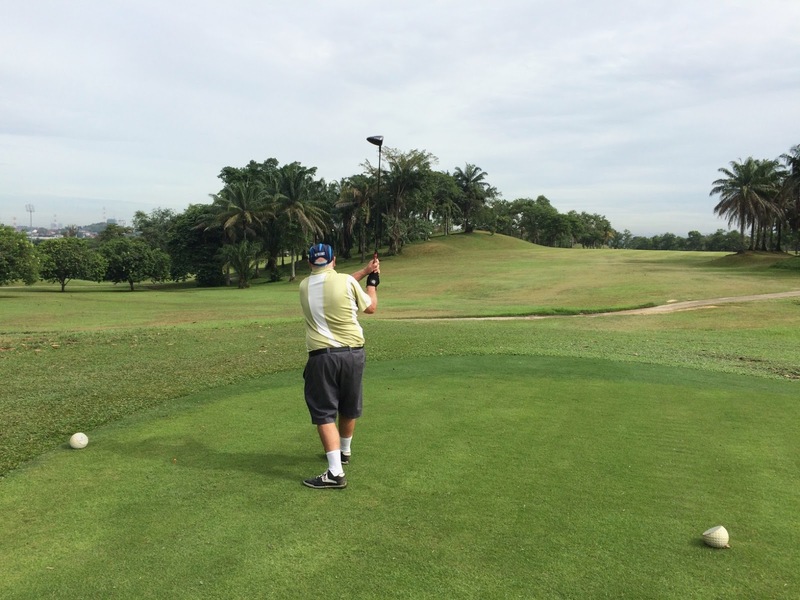 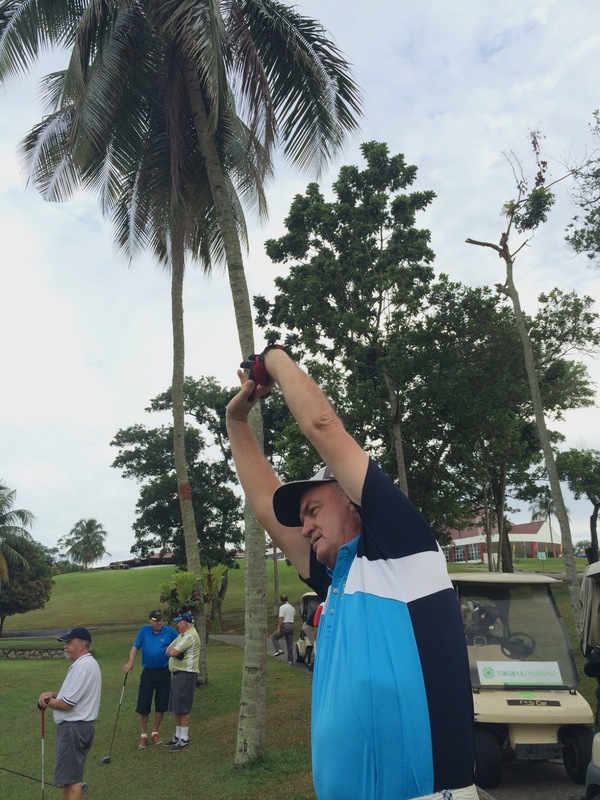 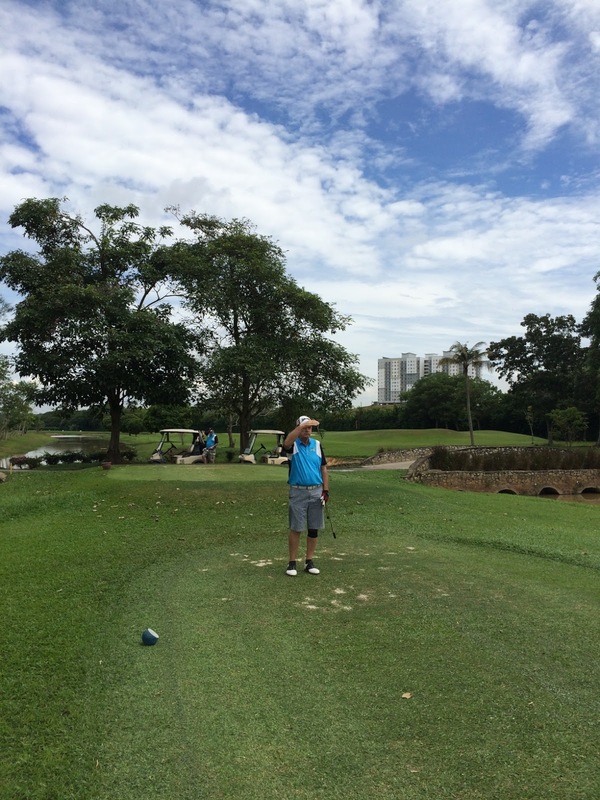 Conditions were good, the weather relatively cool and the course was in good condition. 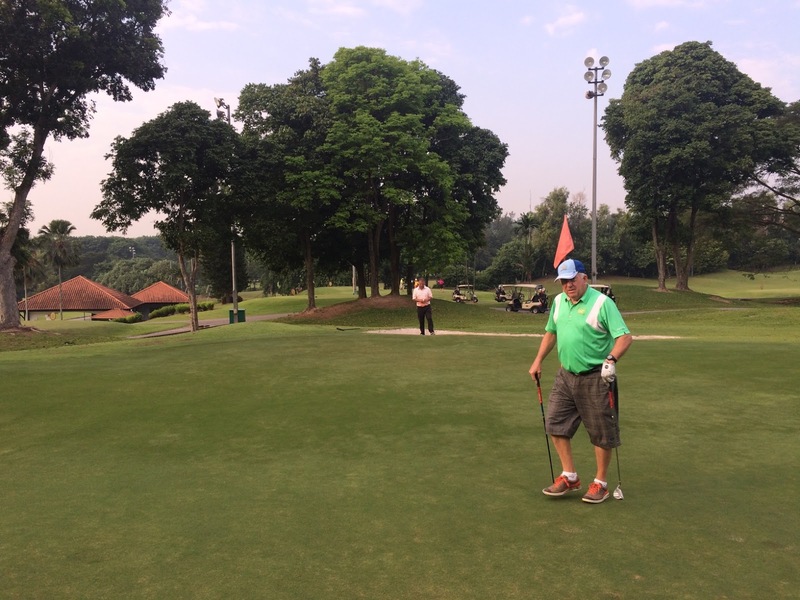 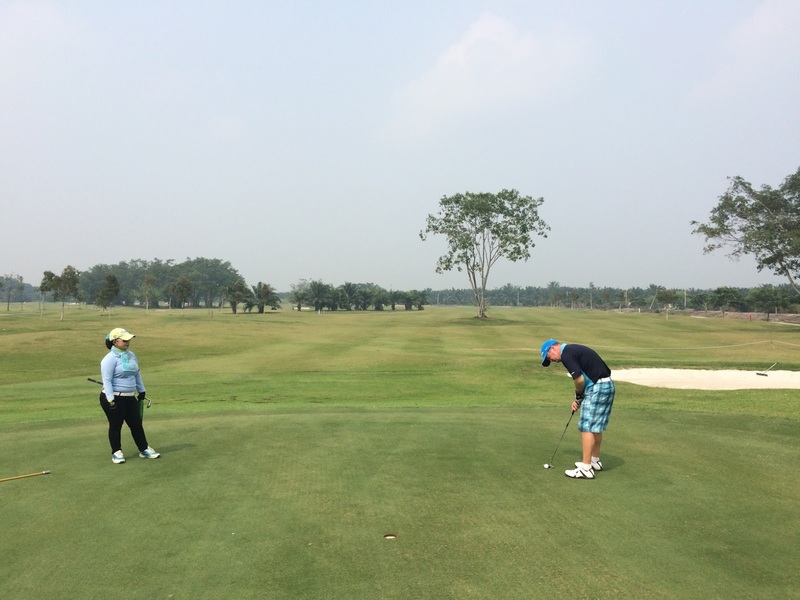 Greens were very tricky though especially with the slopes and quite fast speed – on one green all 4 of us putted off the green! 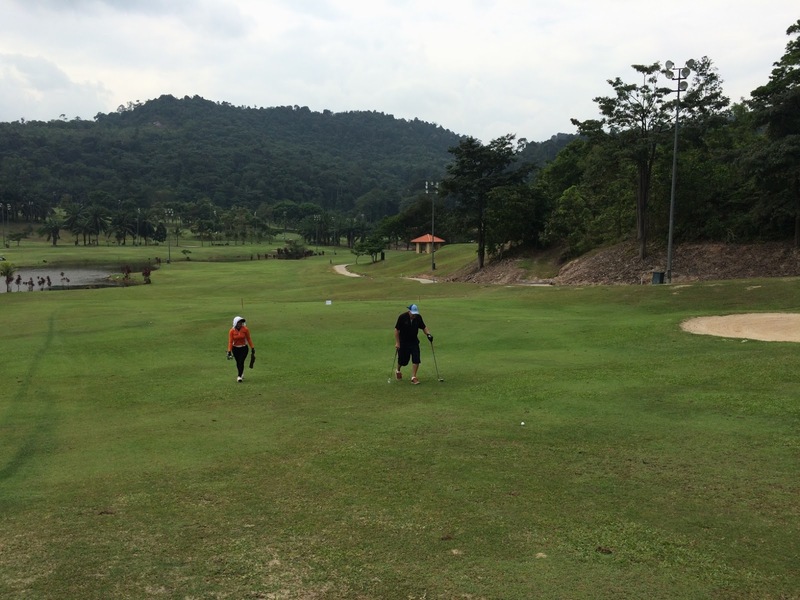 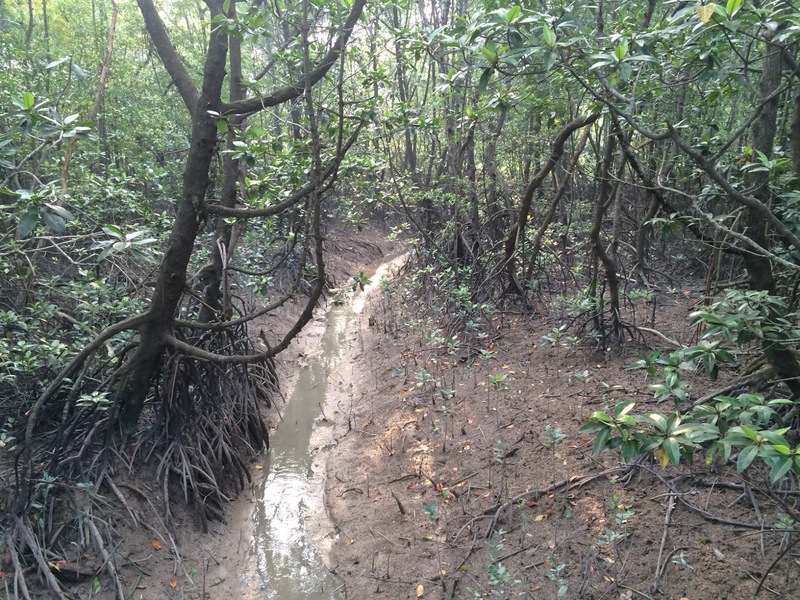 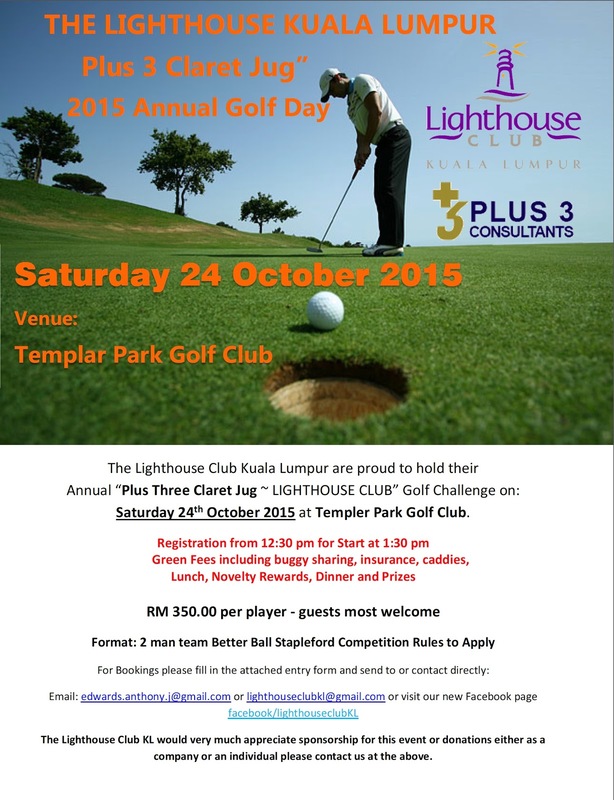 This is a relatively cheap course as well making it quite an economical outing. 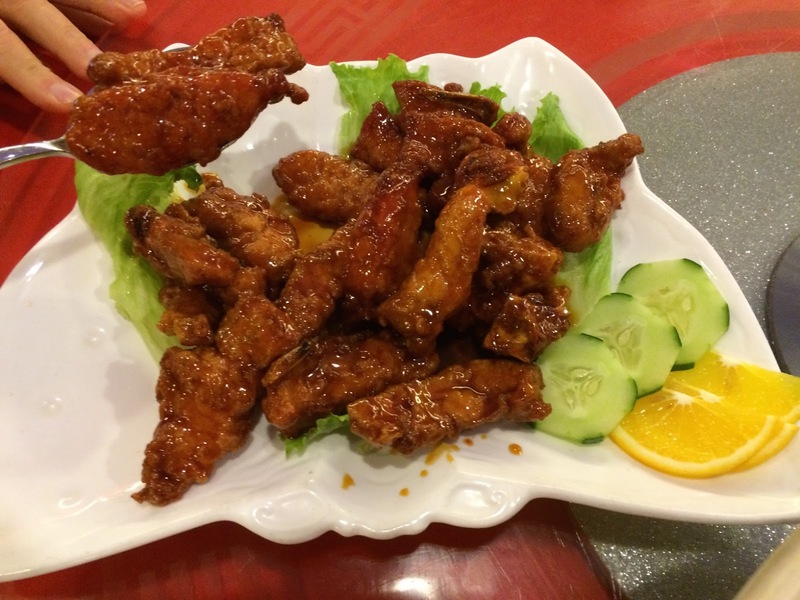 We retired to the Restoran East of the Highway post game for some great food and much needed cold beers. 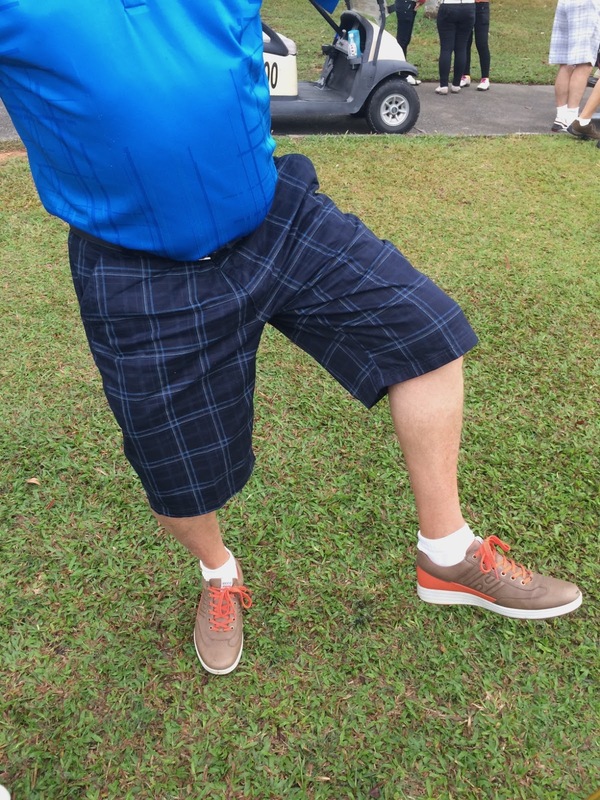 We gave our thoughts of speedy recovery to Mike Smith as we tucked into our special plate of spare ribs a’ la Smith!